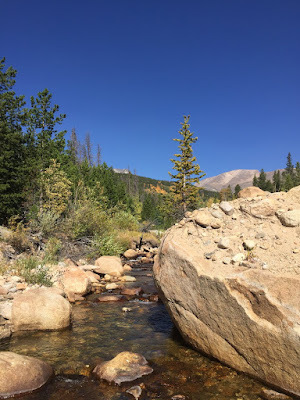 Some who follow this blog on Facebook might already have seen some pictures of my trip to Colorado but for those who don't (and if you don't, please do! 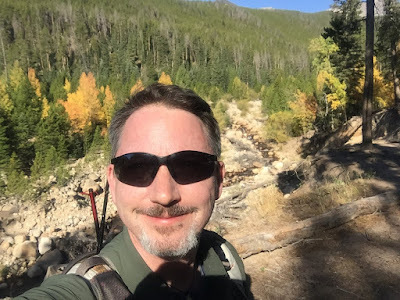 ), I wanted to make sure I share my adventures with you also. 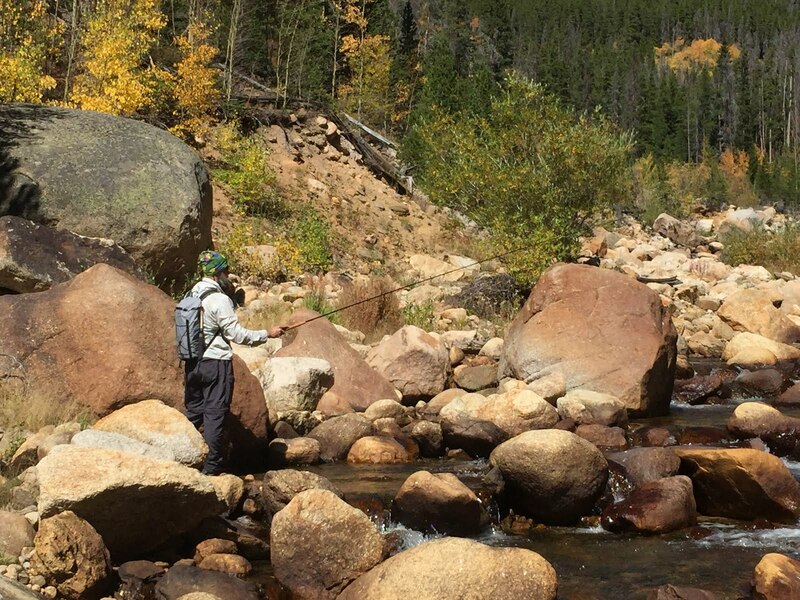 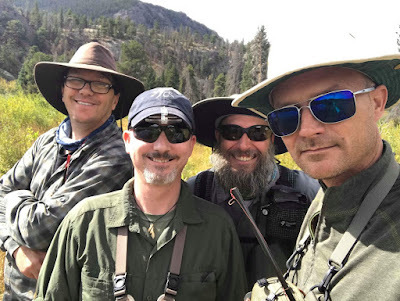 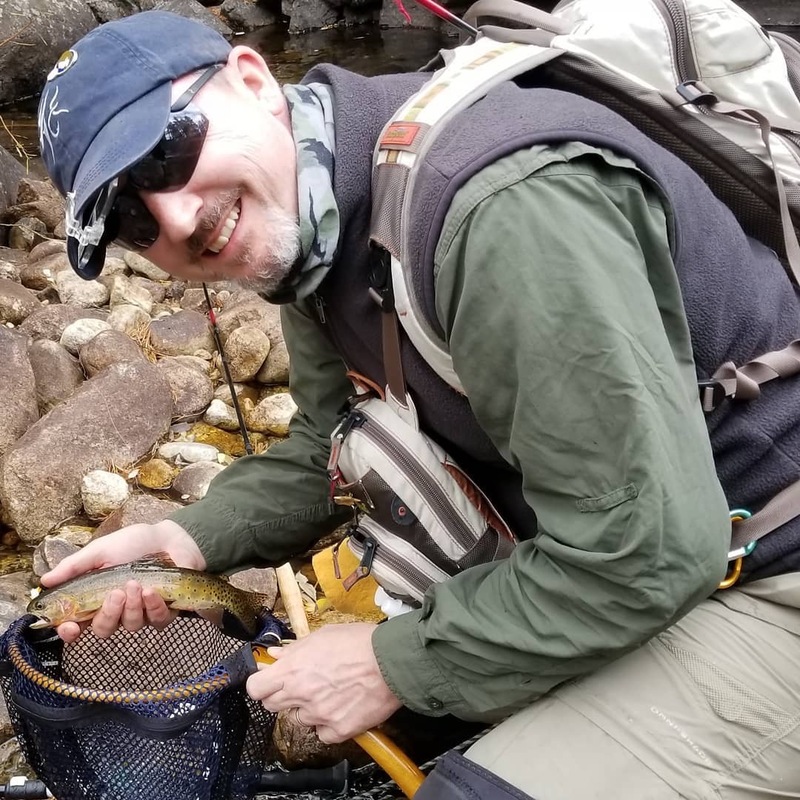 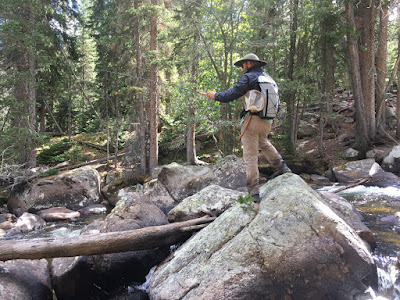 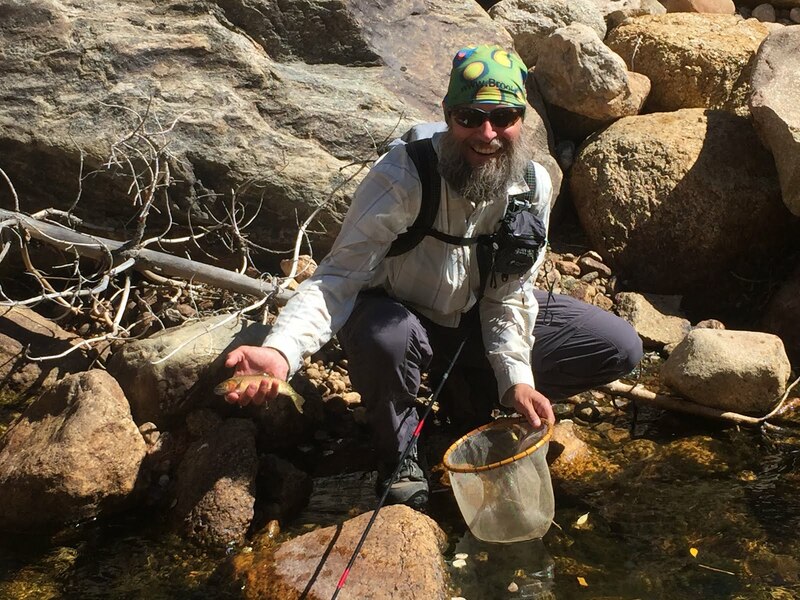 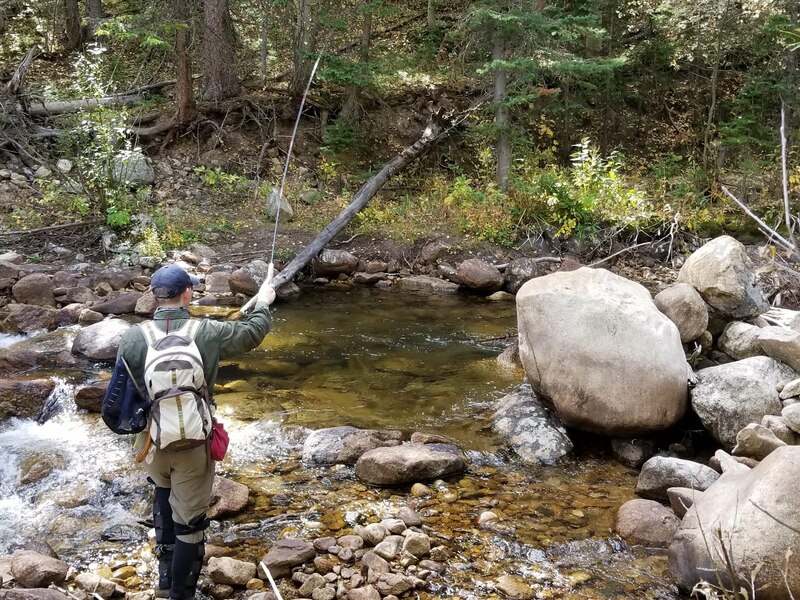 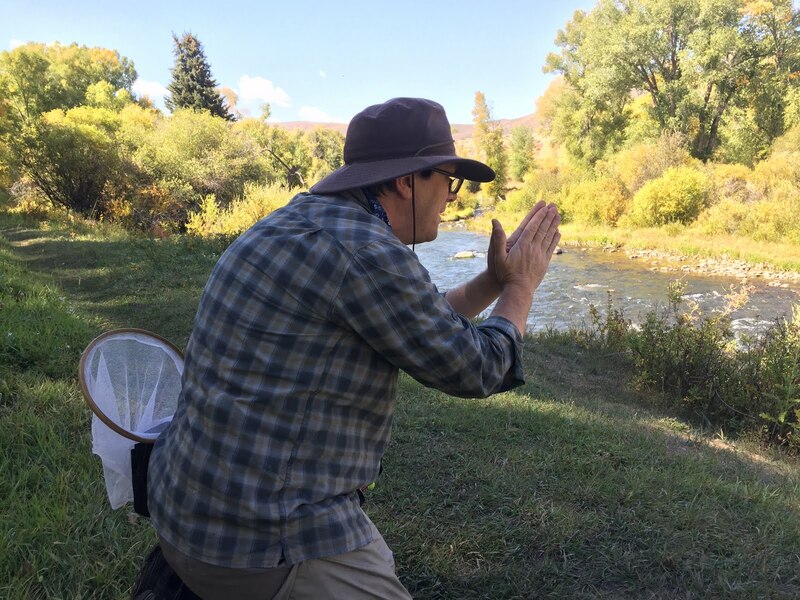 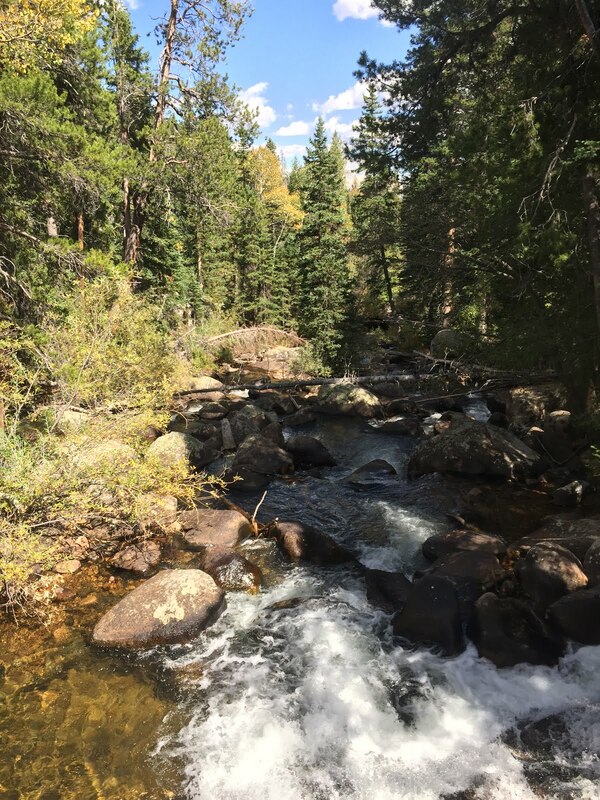 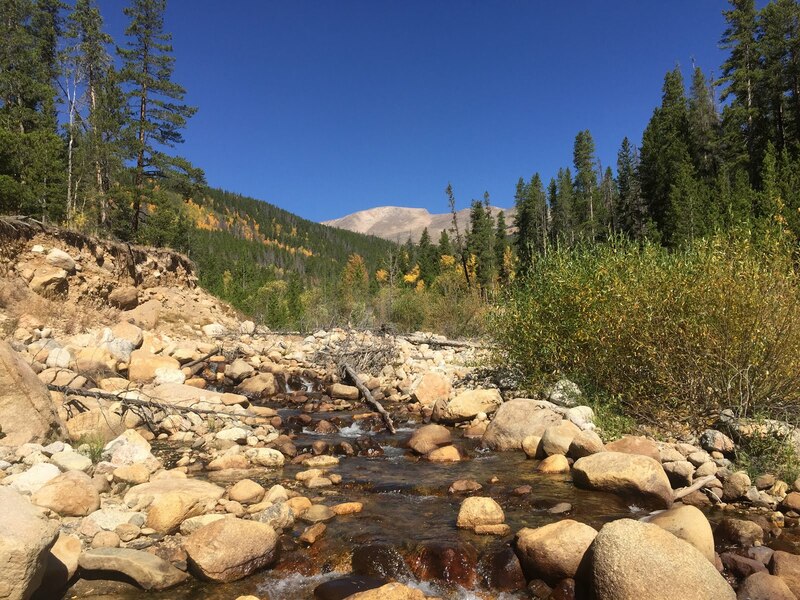 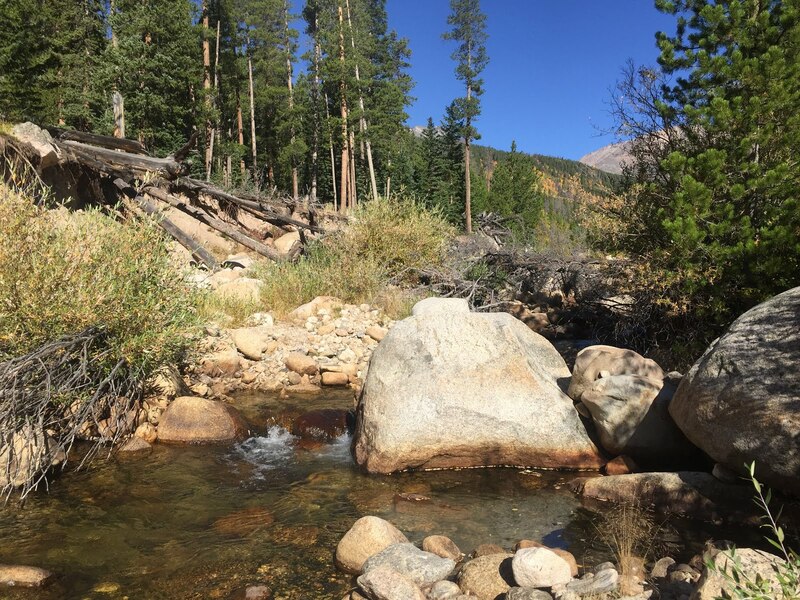 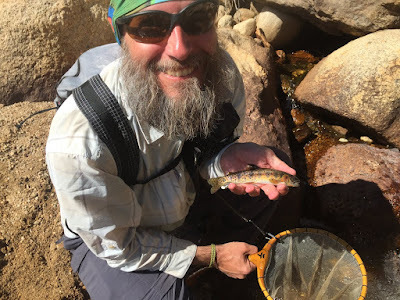 I spent 10 awesome days in Colorado where I picked-up Tenkara fishing now 9 years ago, fishing with my blogging buddies Jason Klass (Tenkara Talk), Dennis Vander Howen (Tenkara Path) and Graham Moran (Tenkara Grasshopper). I left London early & arrived early afternoon in Denver. 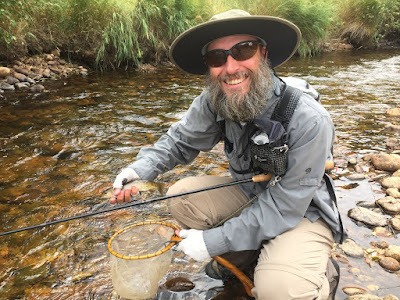 After picking up my rental car, a pair of new Astral Hiyacks at REI and a fishing license I made my way over to Jason's place where we spent hours catching-up and talking shop and even managed to film a quick interview for his blog. there is even a hint of a smile.. Heading up to Summit County after breakfast and meeting up with Dennis and his family. 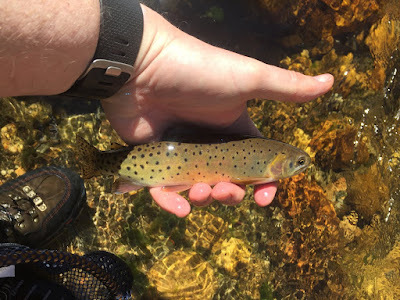 Then some afternoon fishing on Ten Mile Creek and my first Colorado trout in over 3 years! 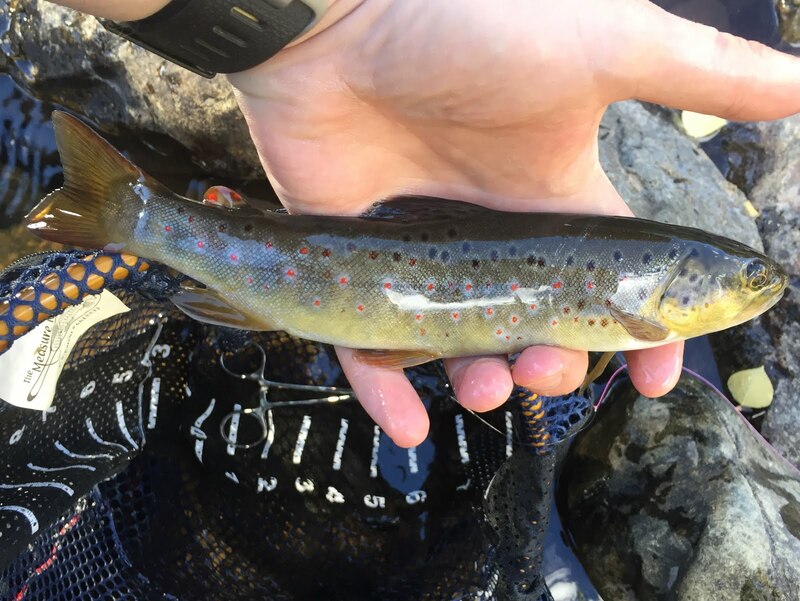 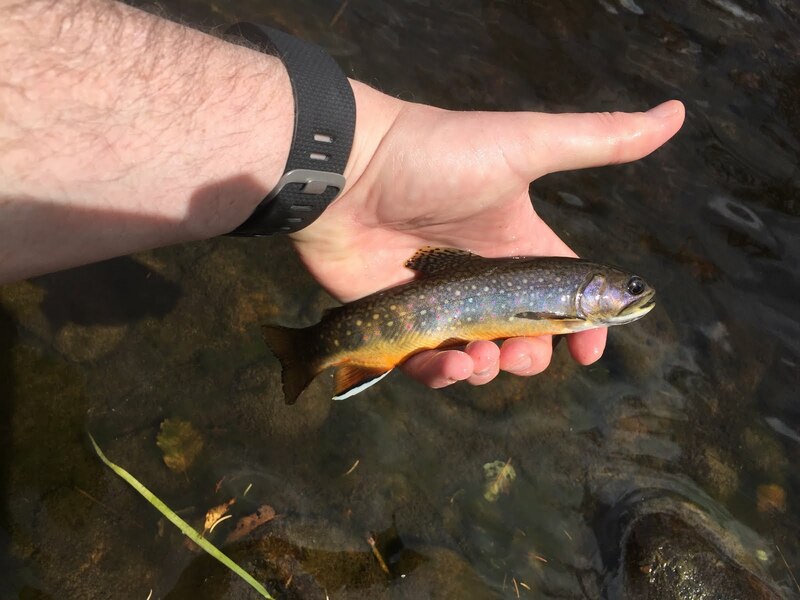 my first Colorado trout in over 3 years! 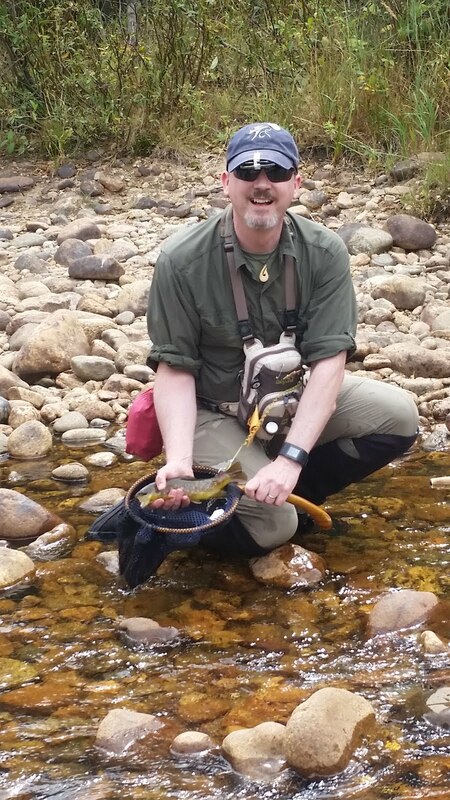 Dennis with a bruiser of a brown trout! We decided to spend the first full day of fishing on the Williams Fork, a river both of us haven't fished but heard many good things about. 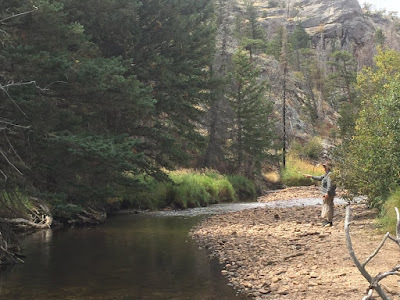 Well, it's a beautiful place but for some reason it didn't fish for us at all. 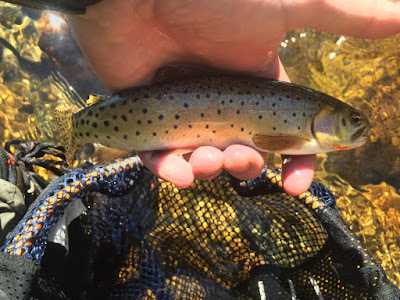 Not sure if it was the flow, the full on algae bloom that covered every single rock in the entire stream bead or our inability to adapt and figure things out but after a couple hours we called it and drove down to the Colorado River and fished the Colorado in Byers Canyon between Parshall and Hot Sulphur Springs where we finally got into some trout. 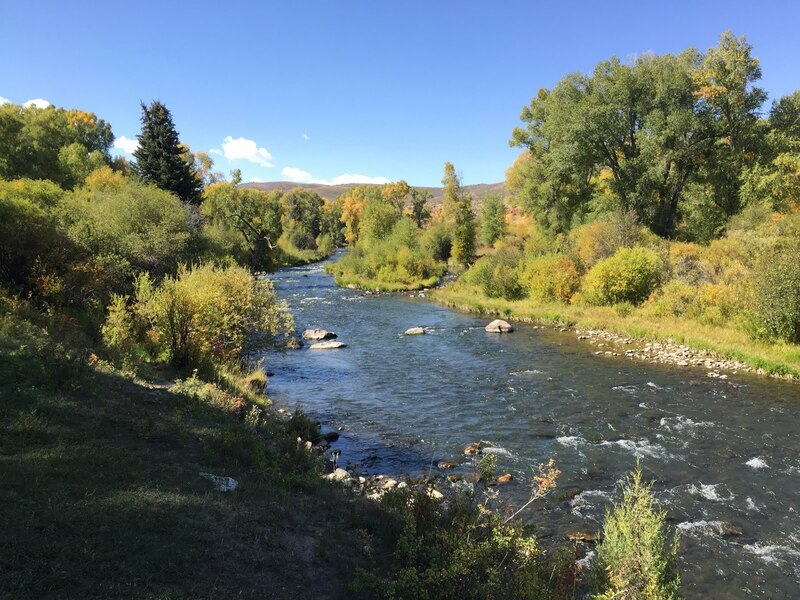 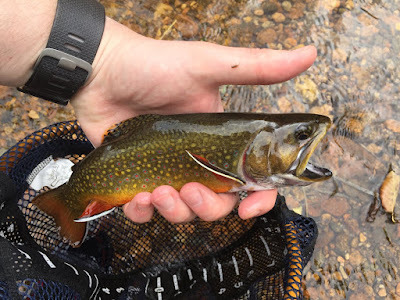 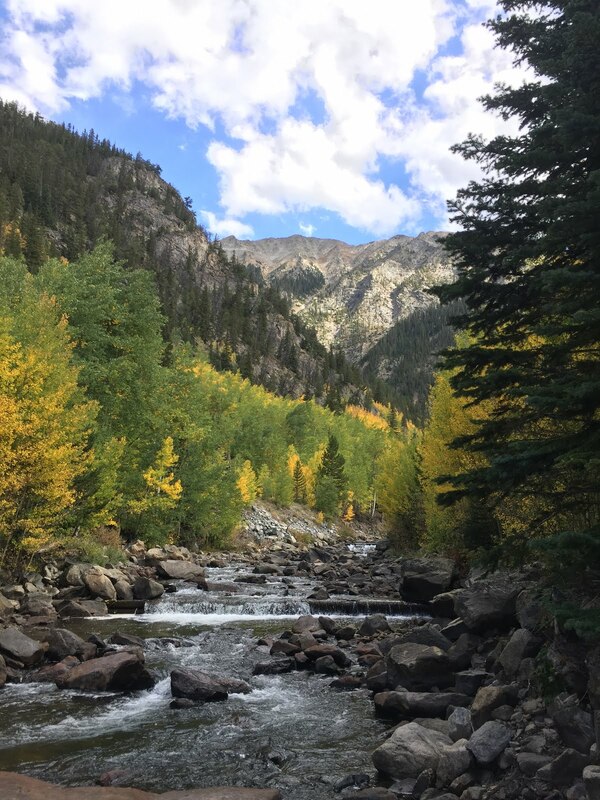 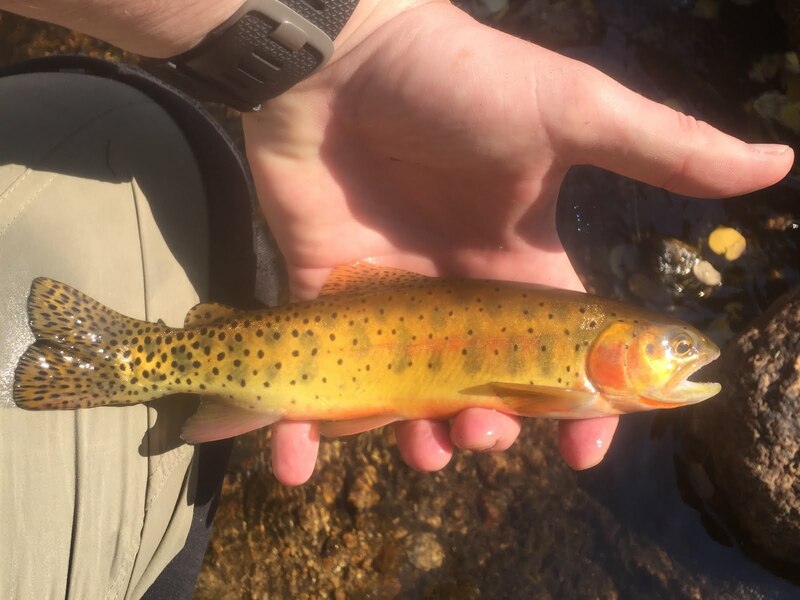 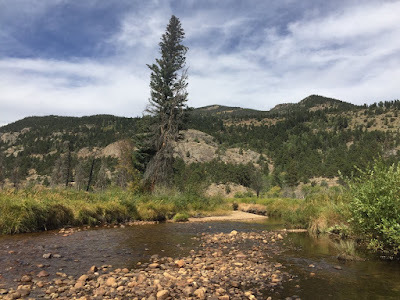 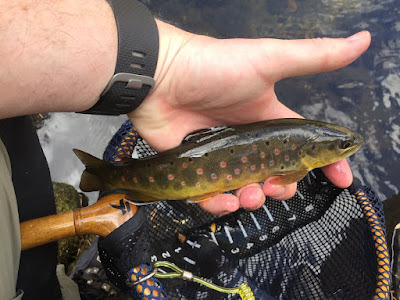 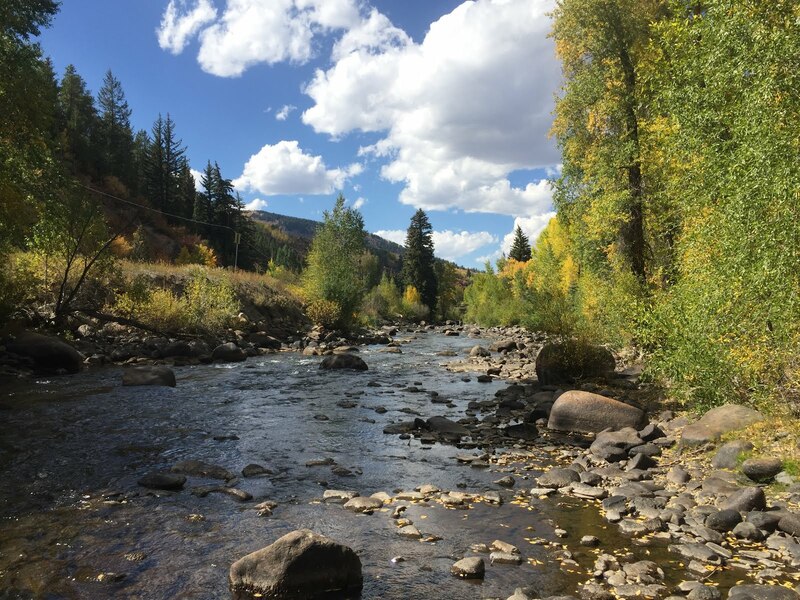 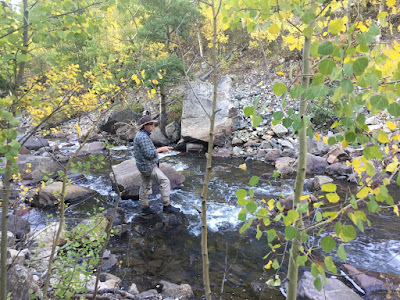 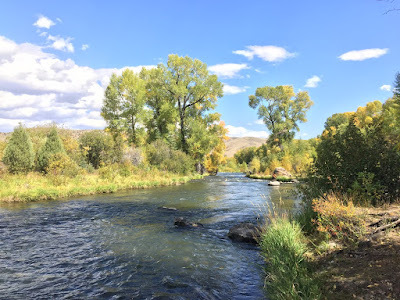 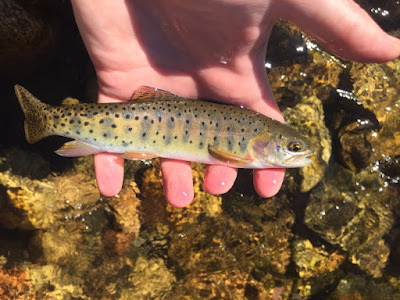 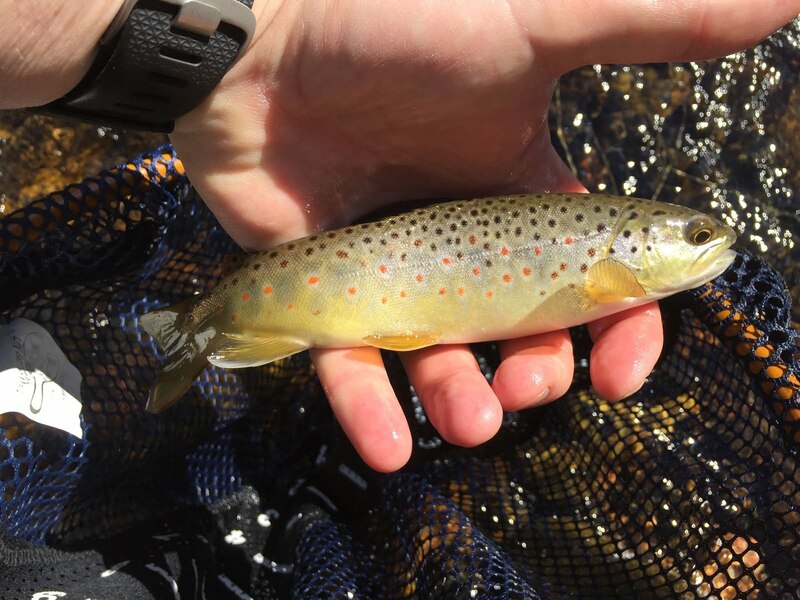 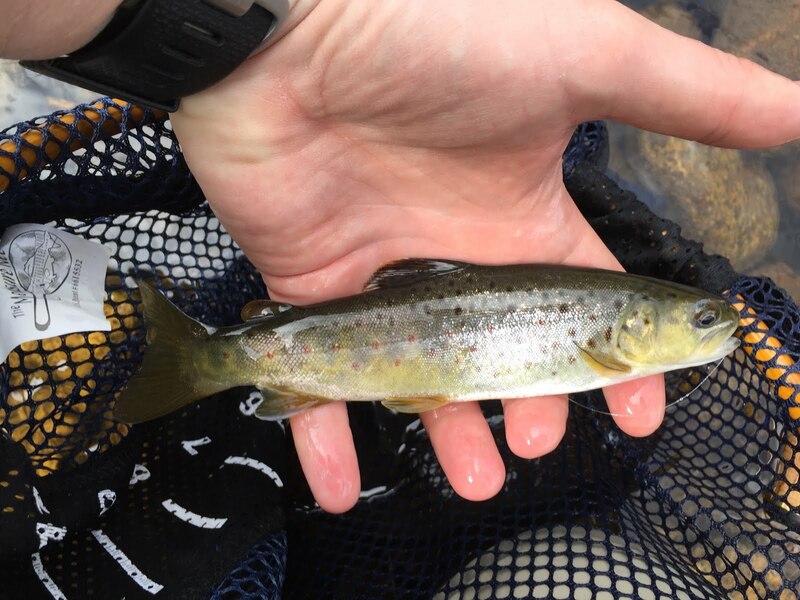 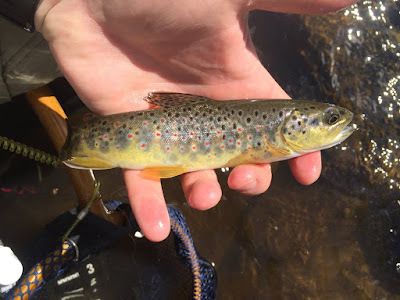 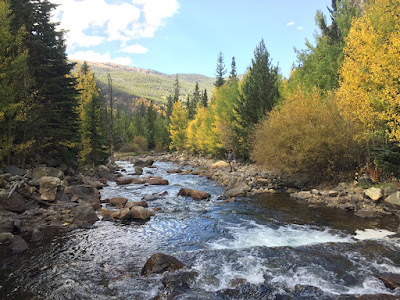 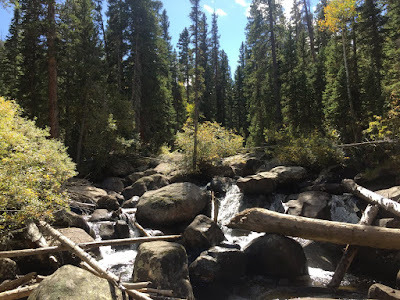 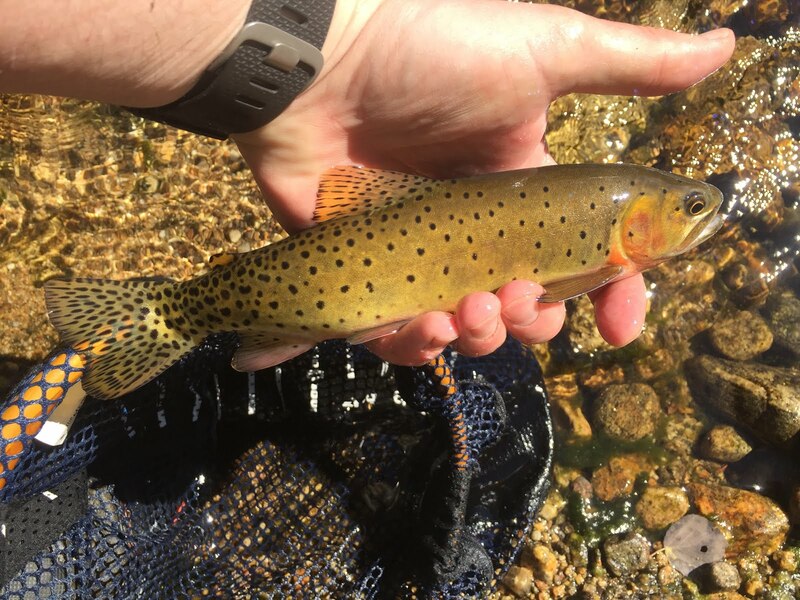 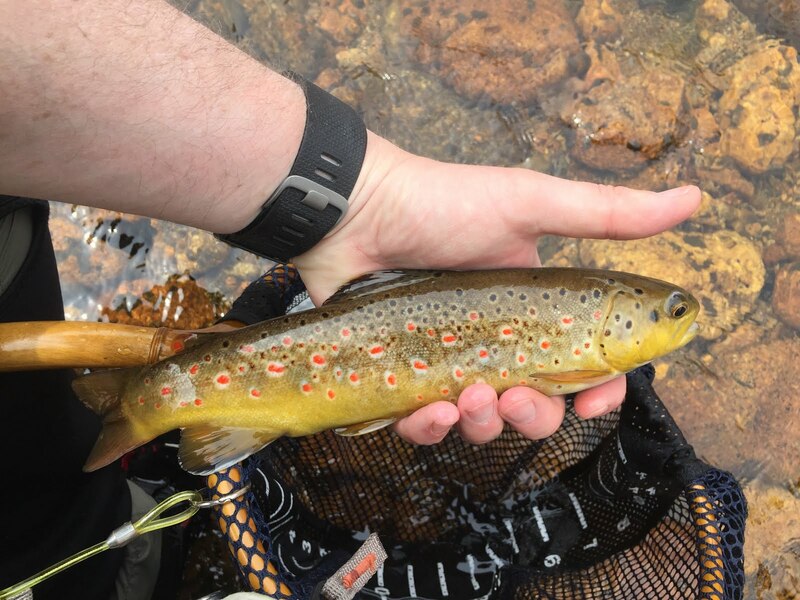 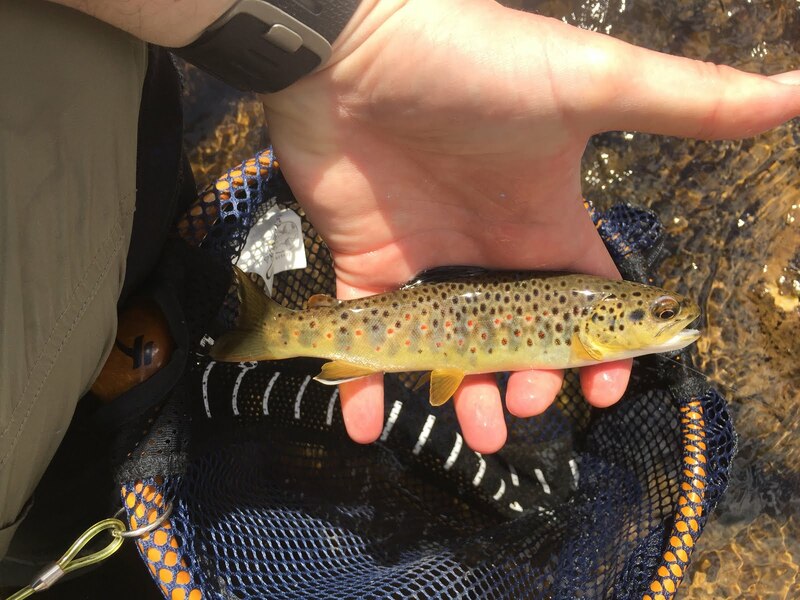 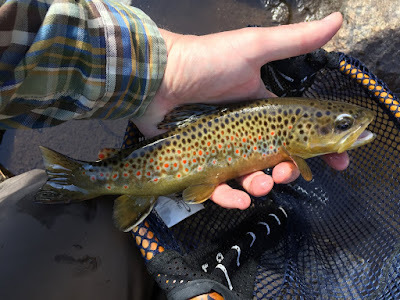 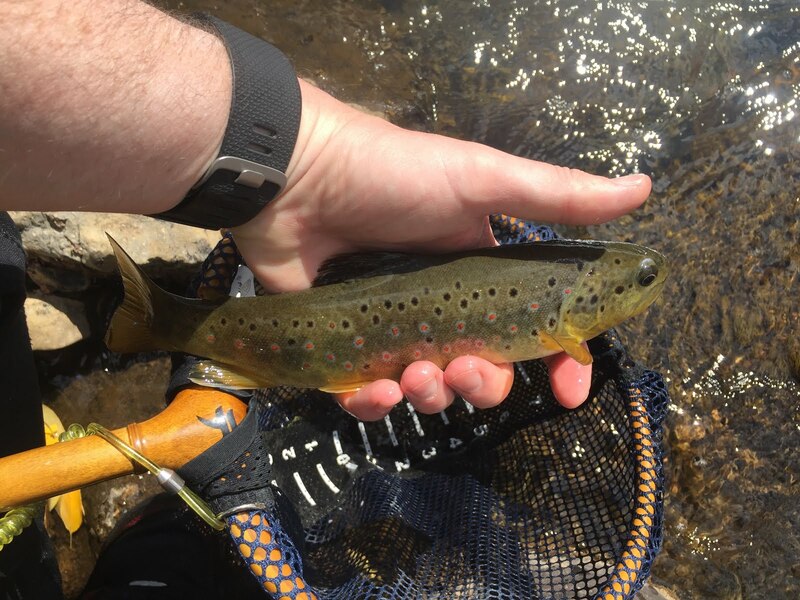 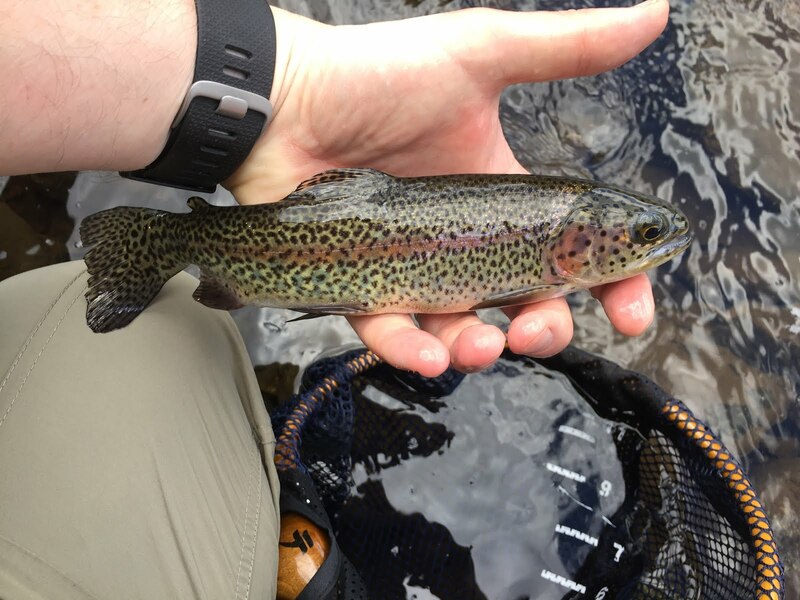 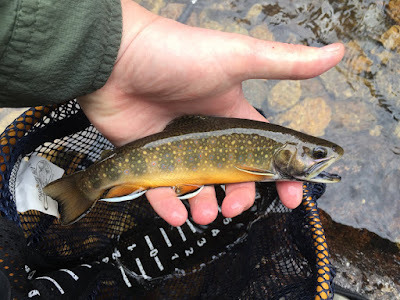 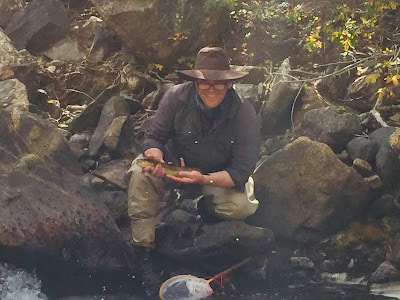 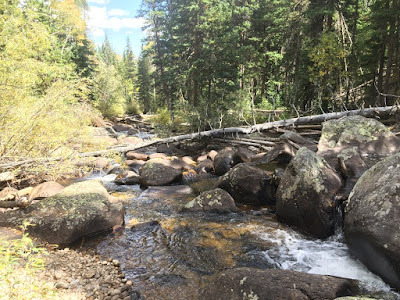 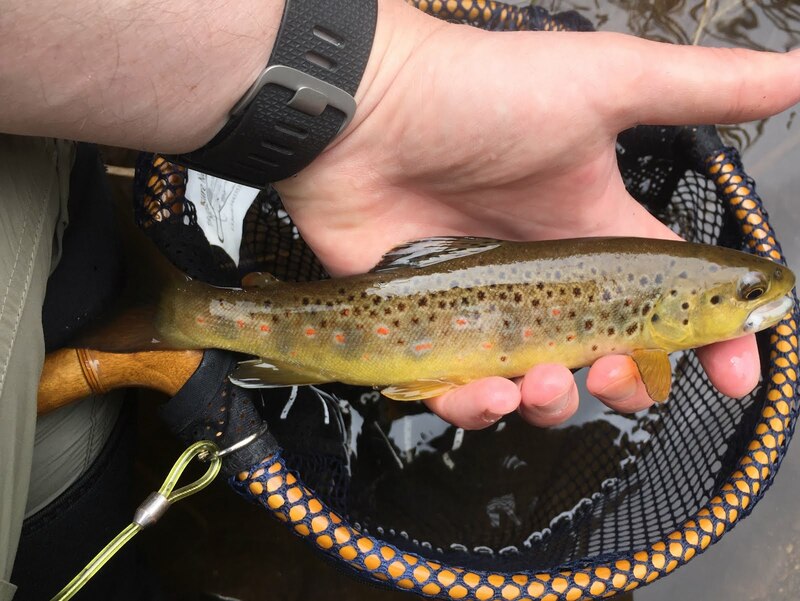 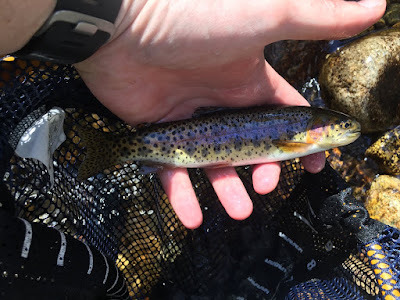 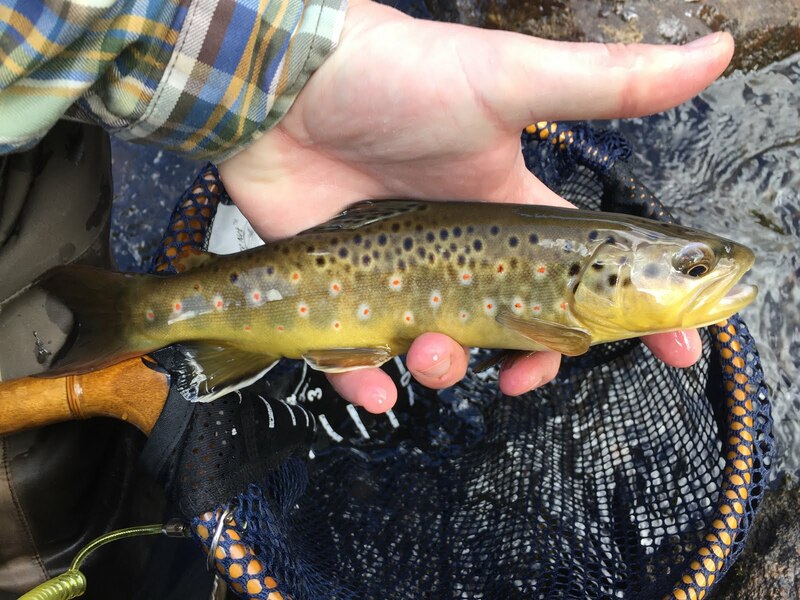 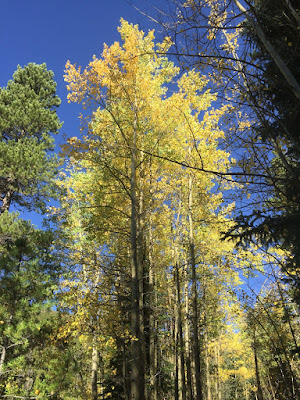 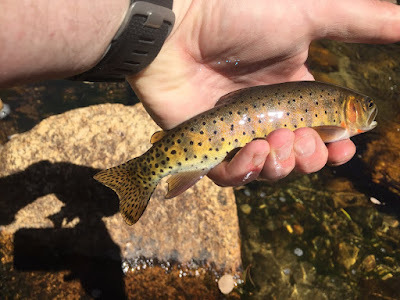 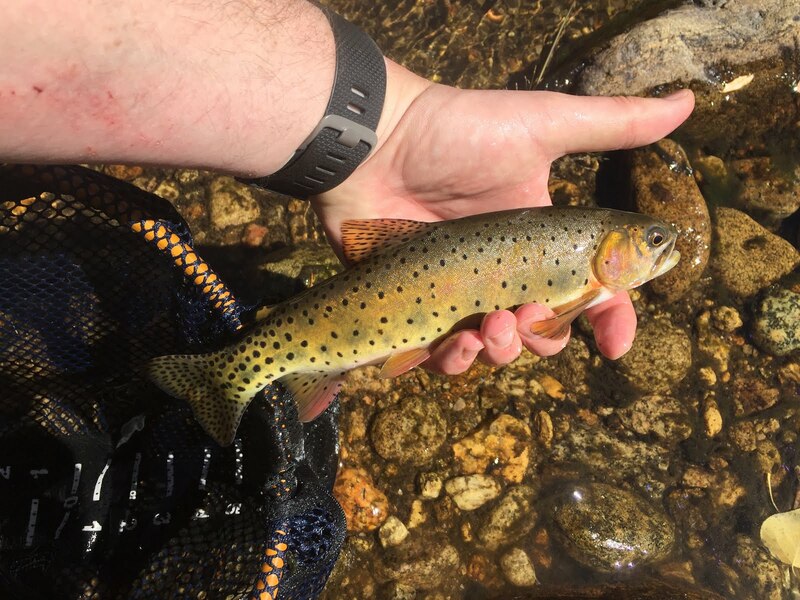 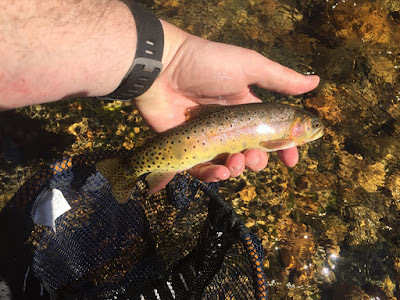 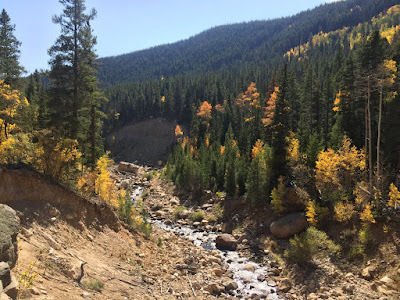 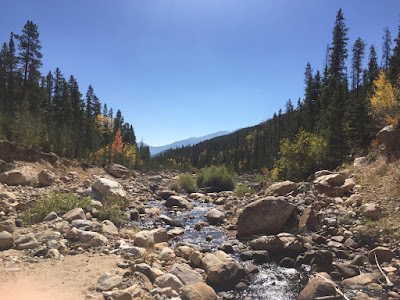 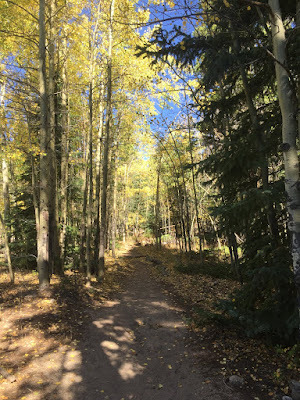 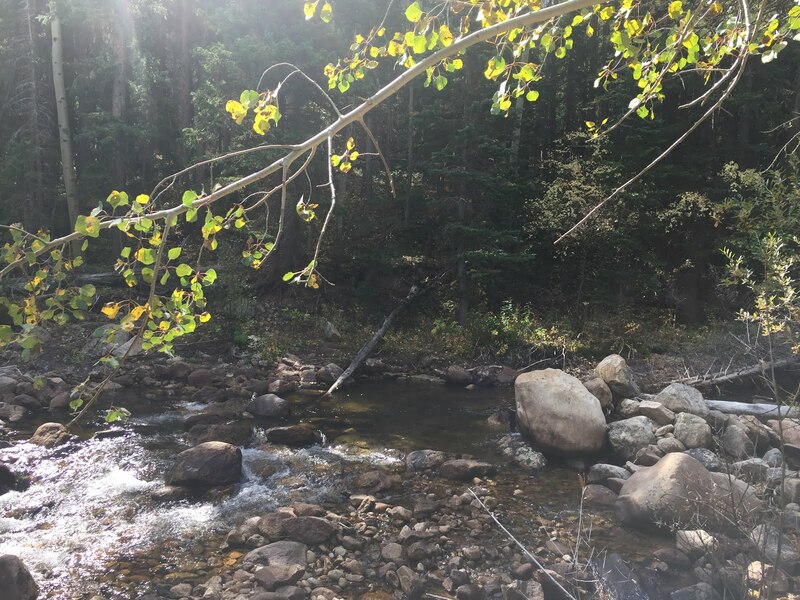 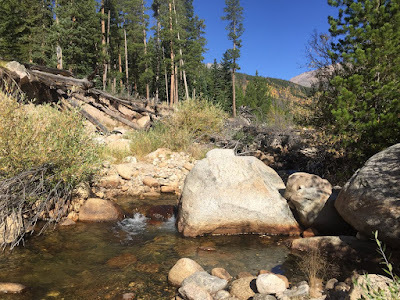 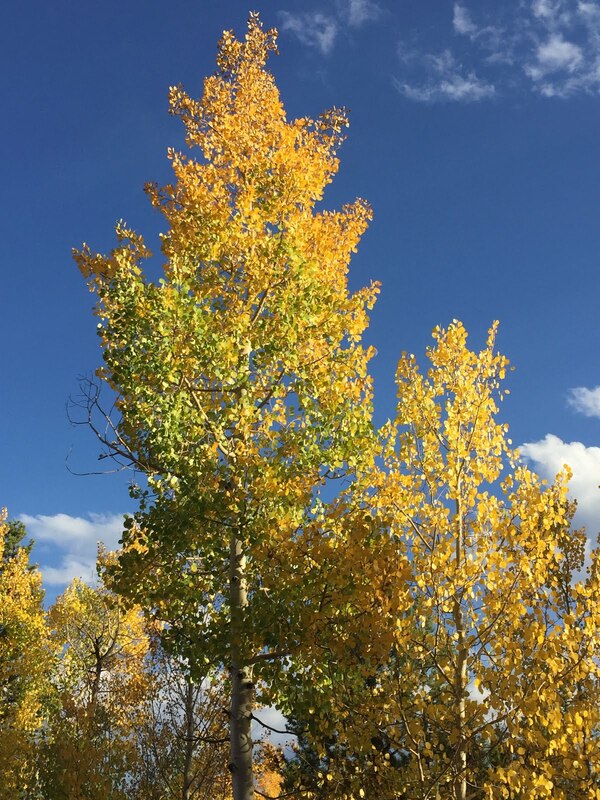 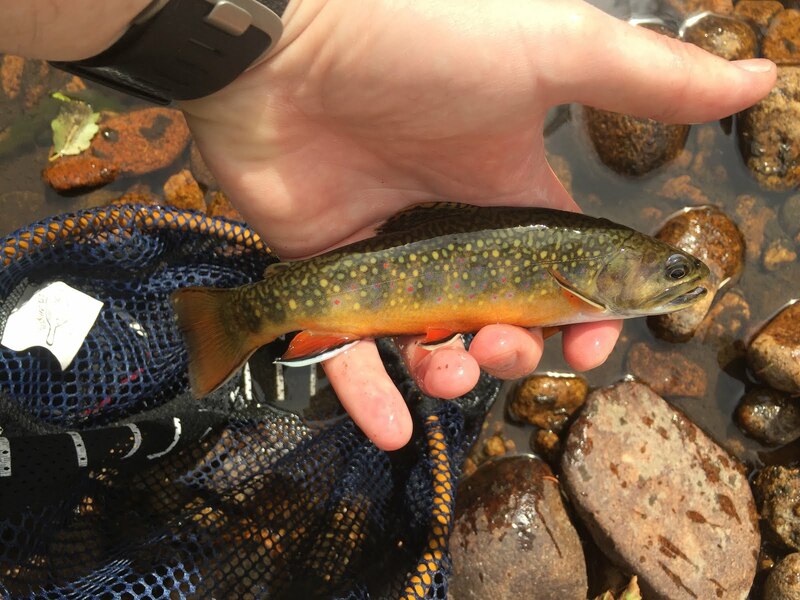 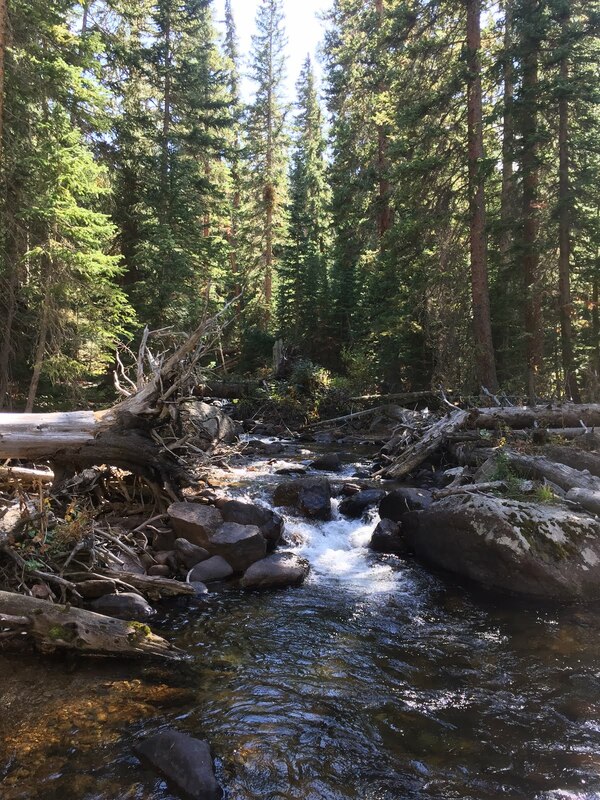 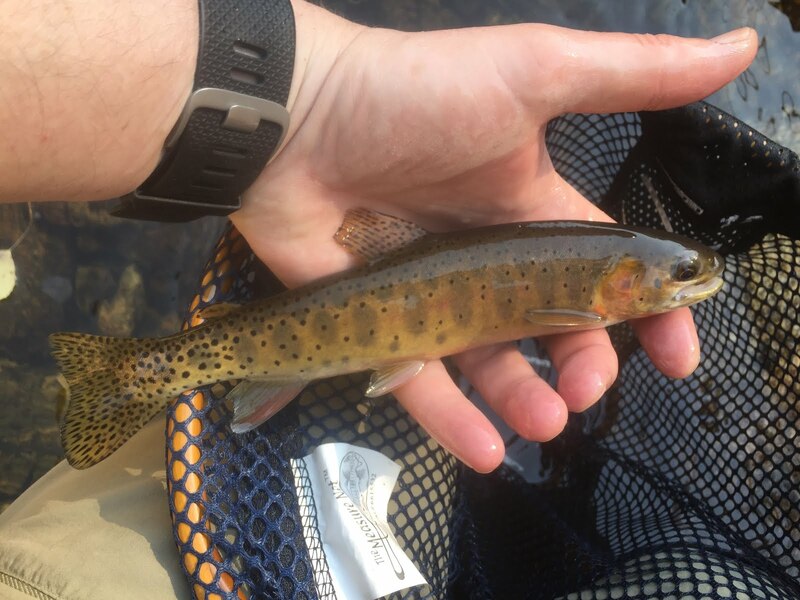 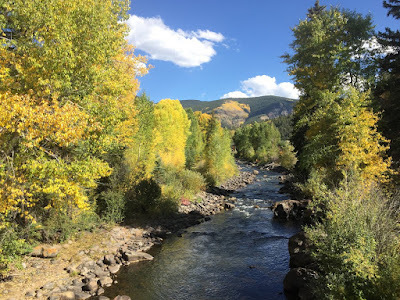 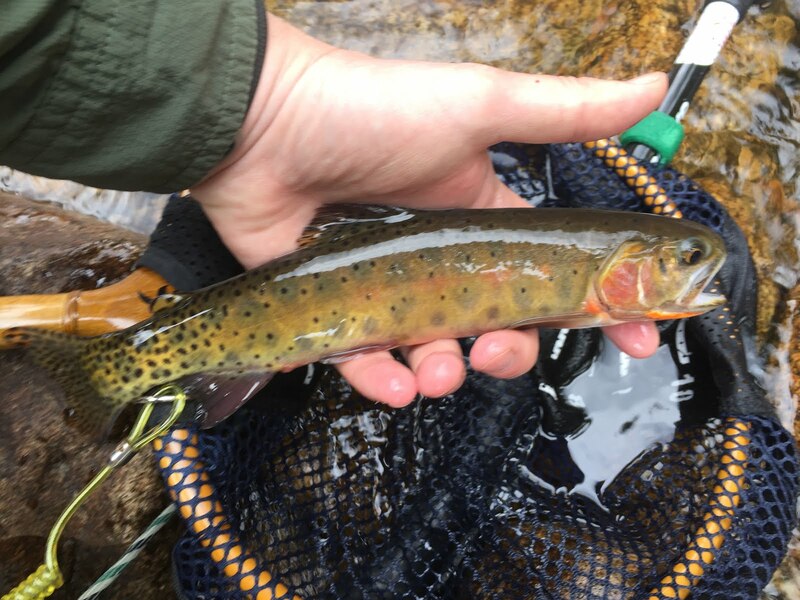 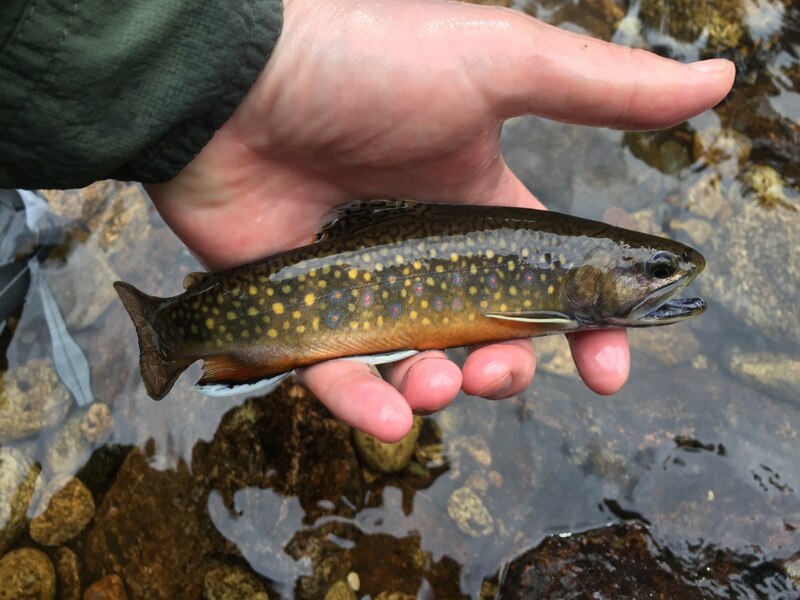 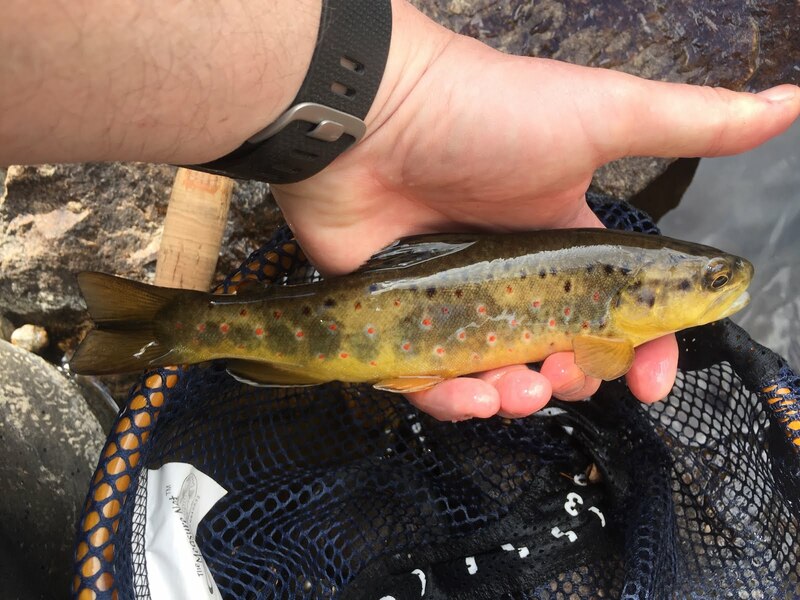 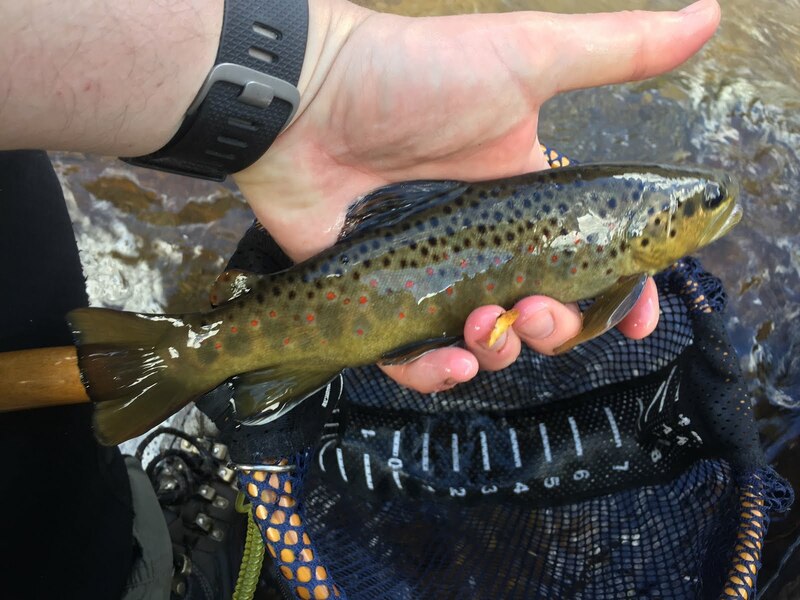 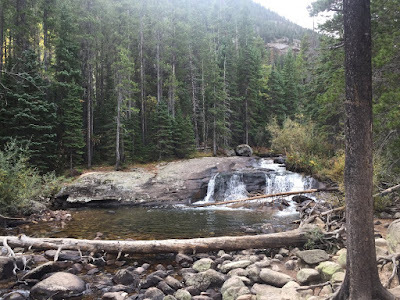 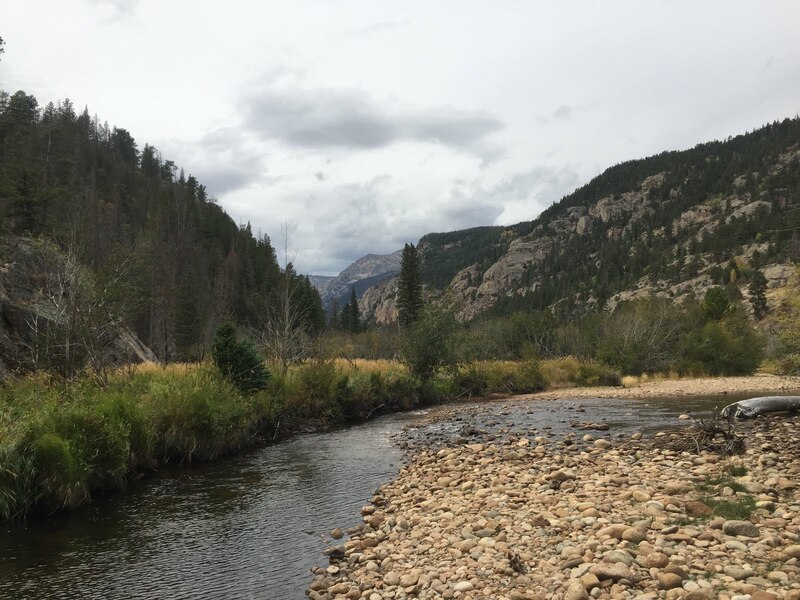 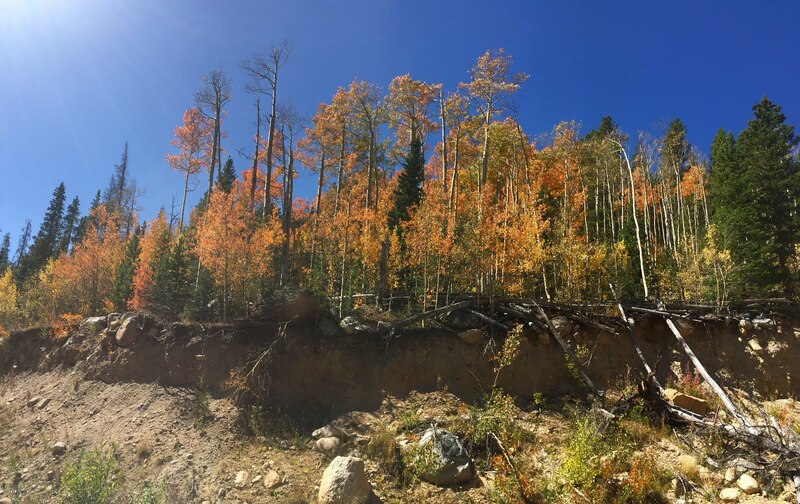 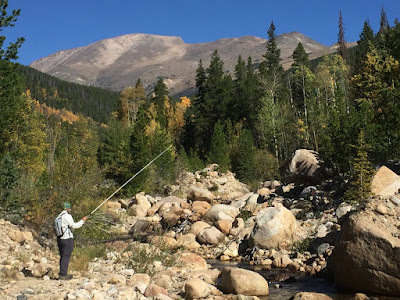 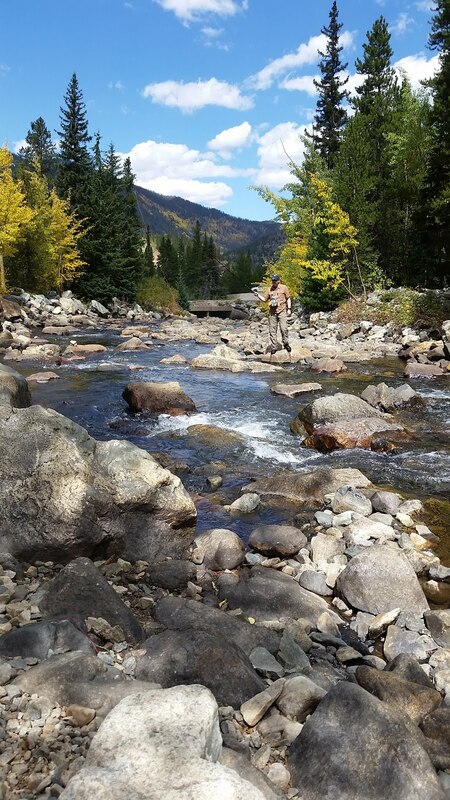 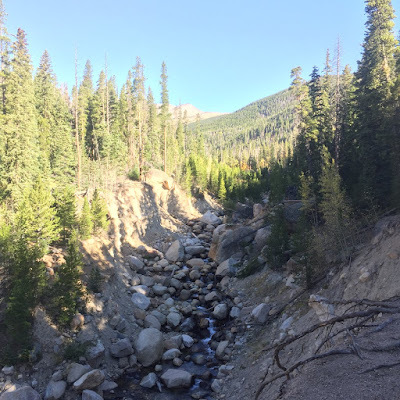 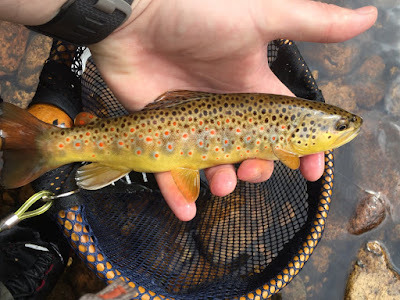 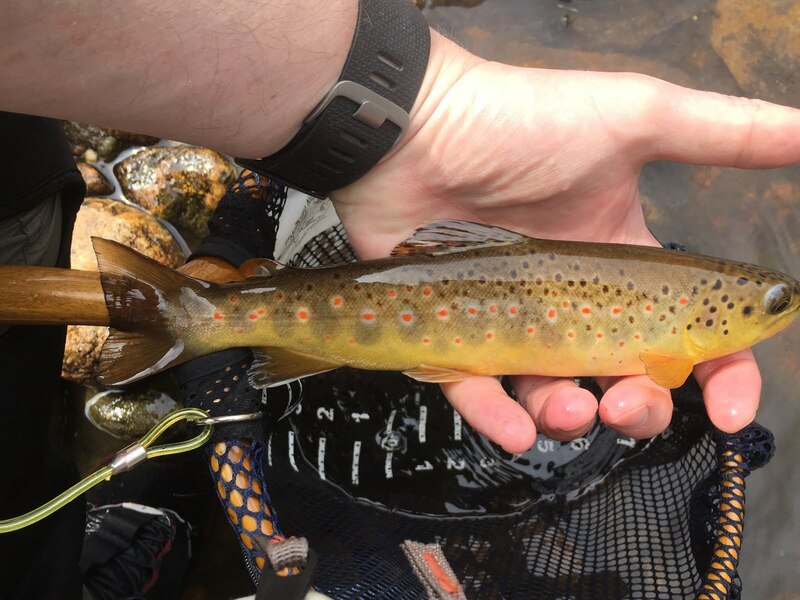 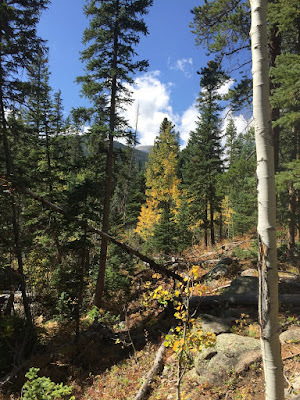 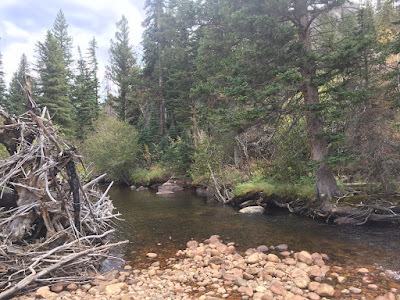 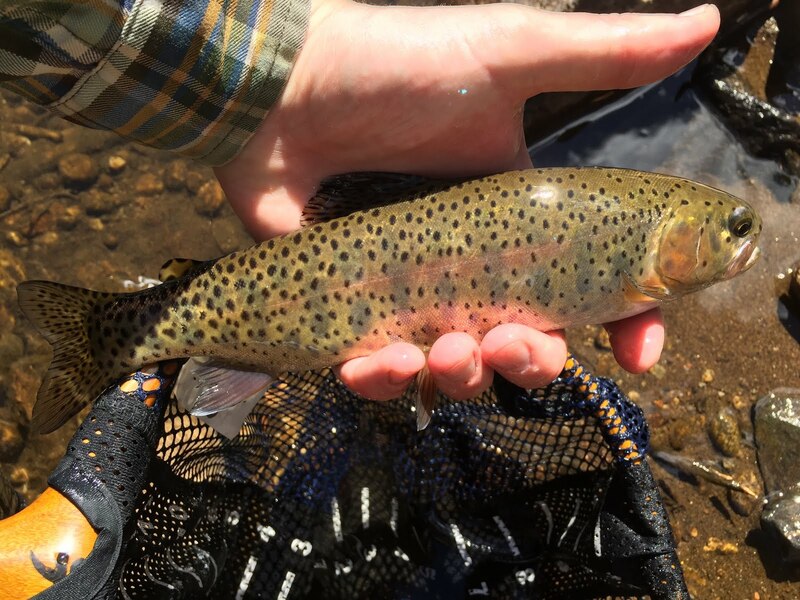 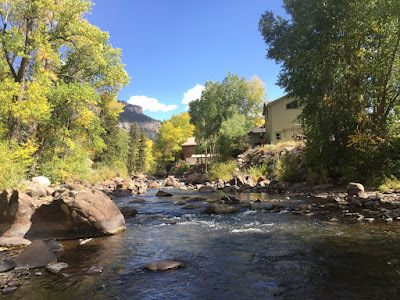 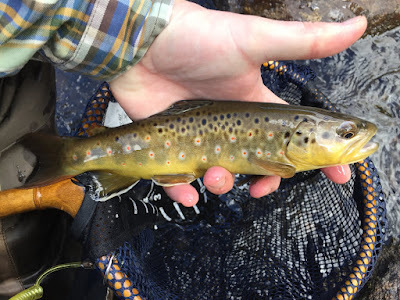 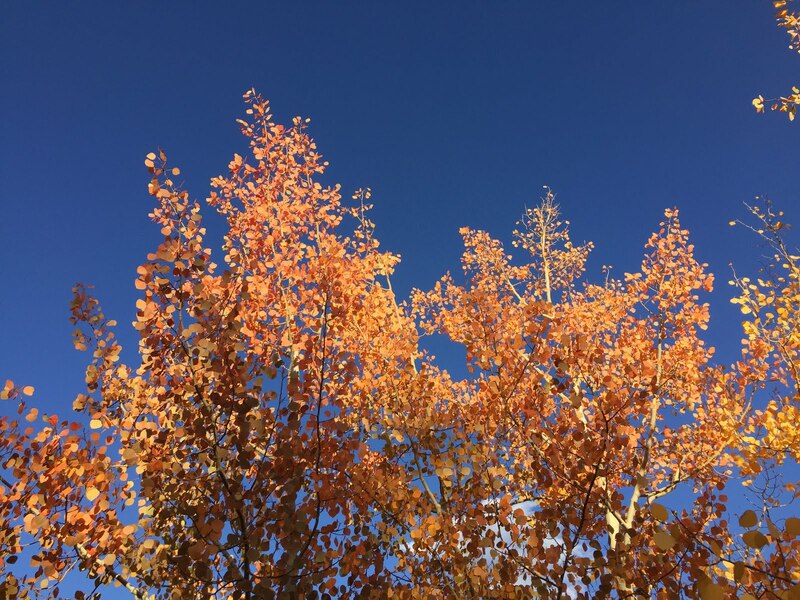 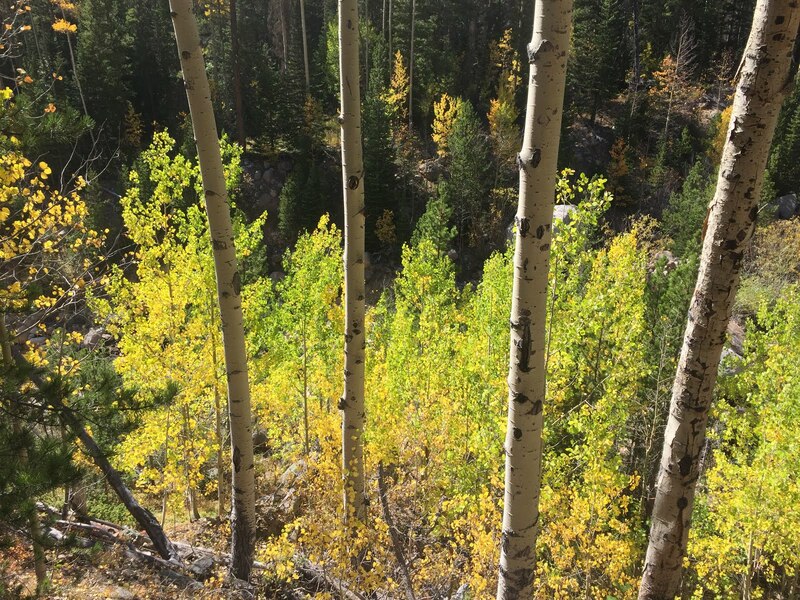 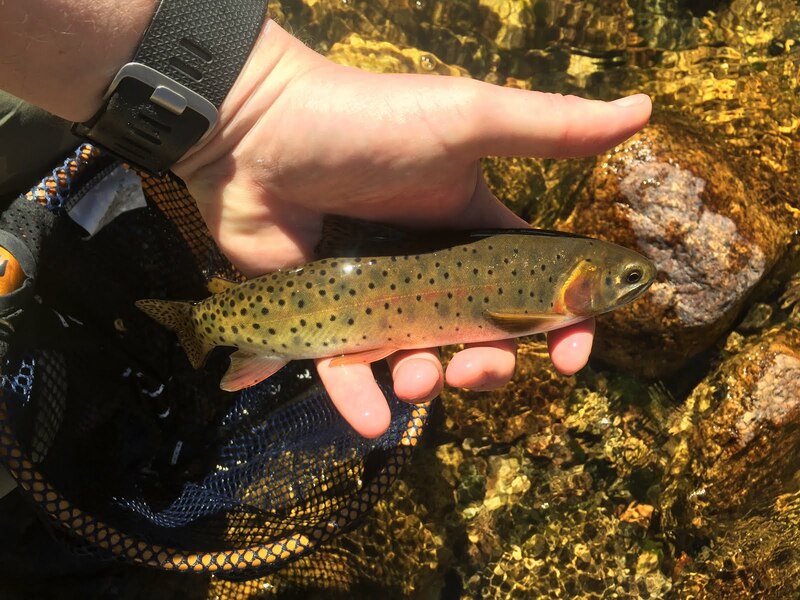 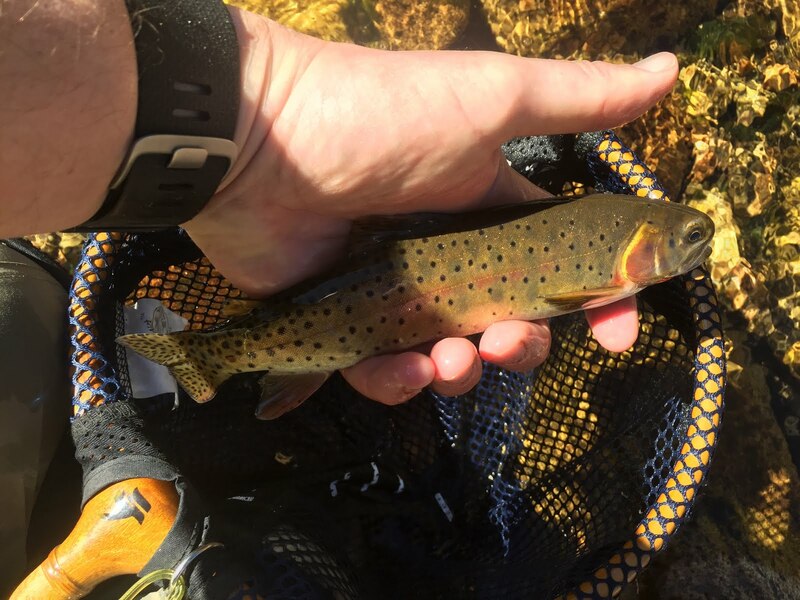 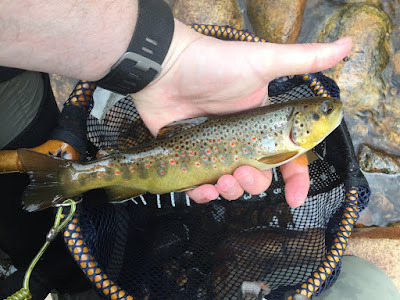 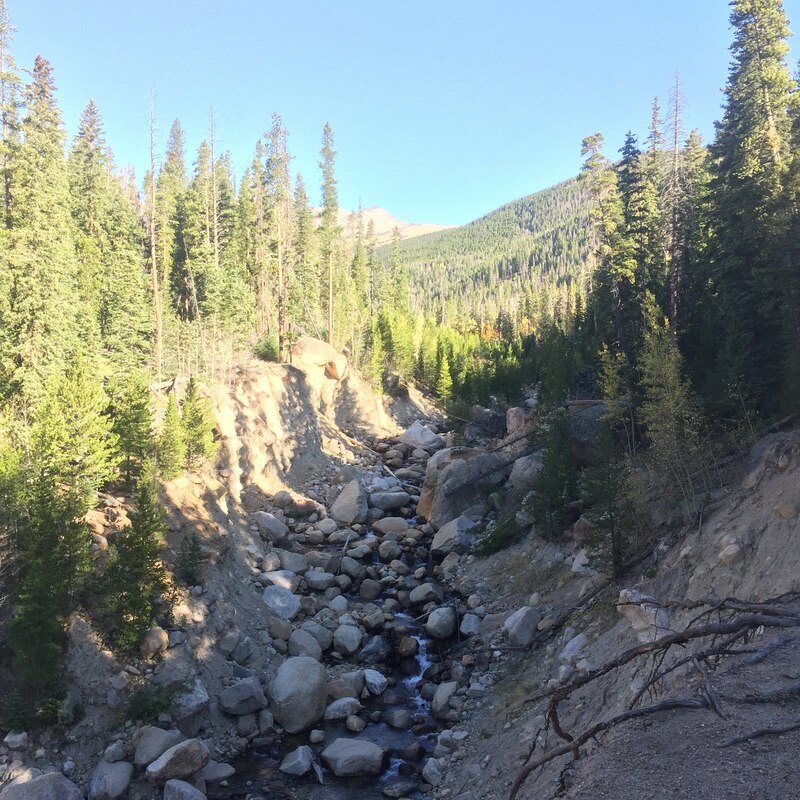 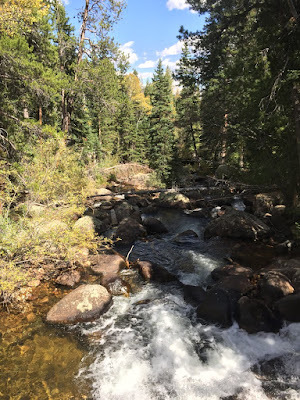 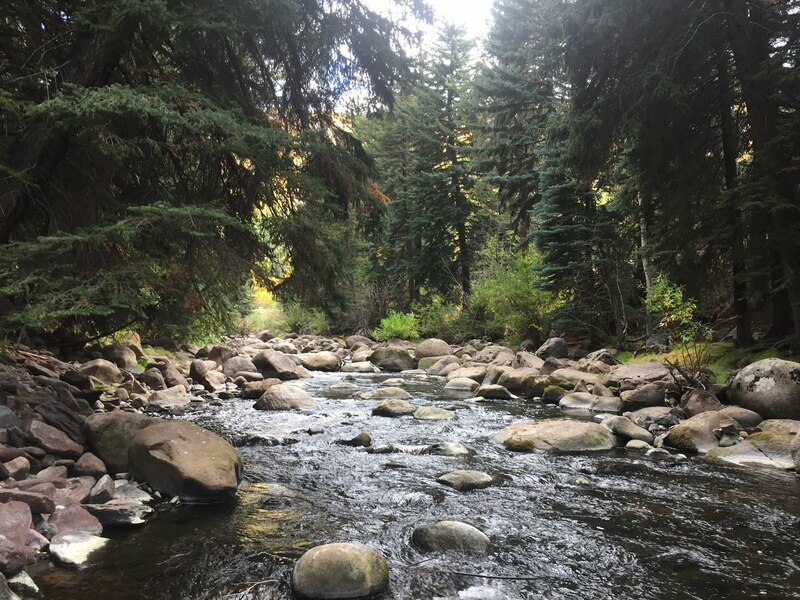 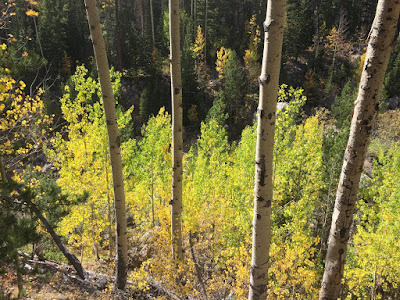 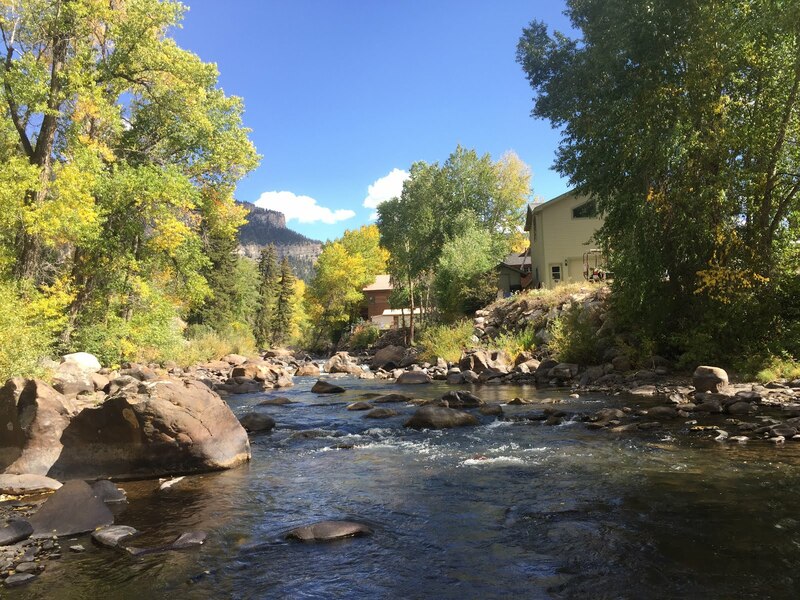 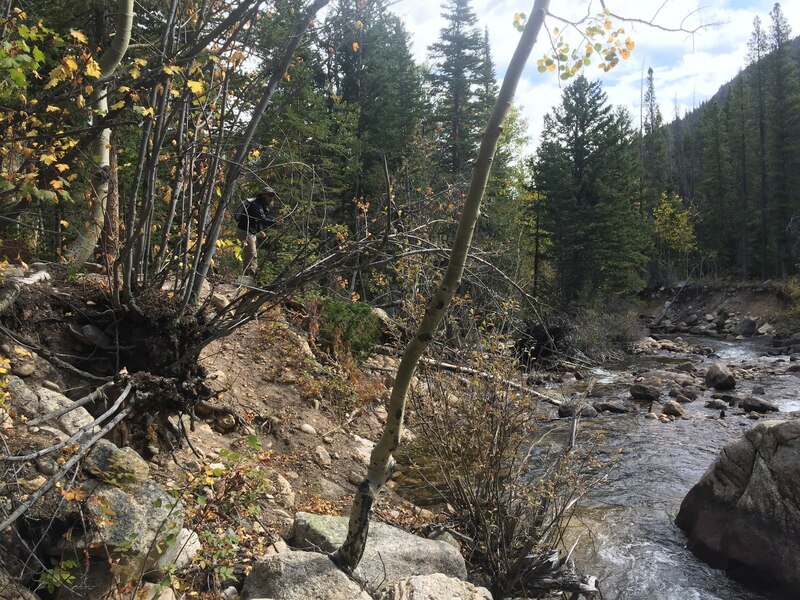 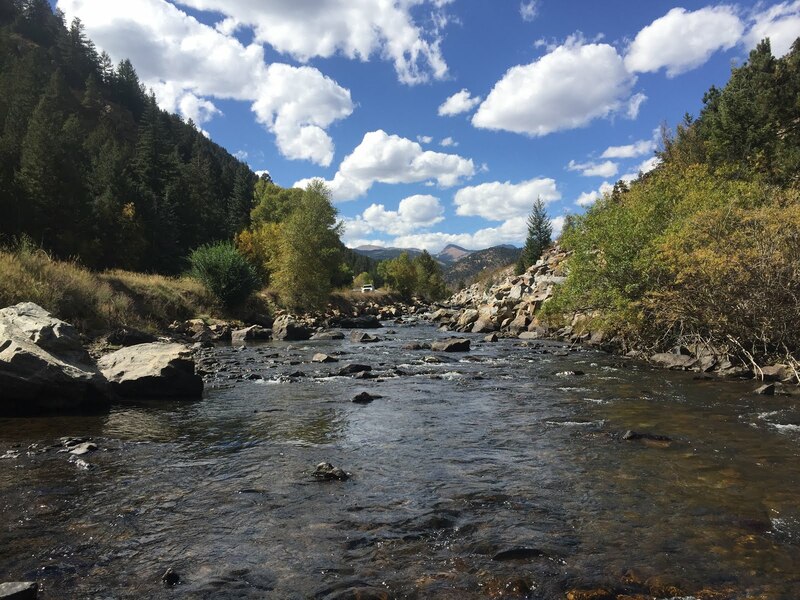 Today we drove from Summit County over Vail Pass to fish Gore Creek in Vail in the morning, then further downstream to the to the Eagle River in Minturn for some afternoon fishing. 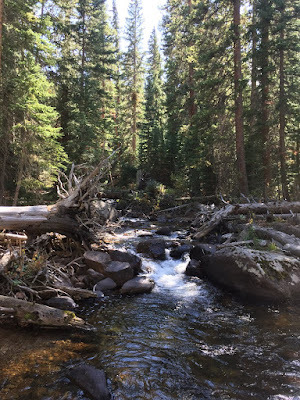 In the evening, as we were passing through on our way home anyway, Ten Mile Creek again. 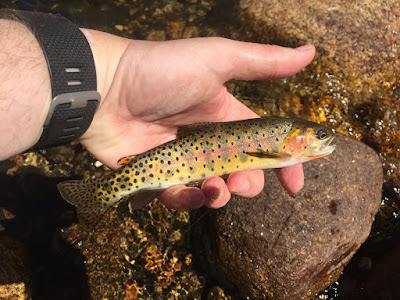 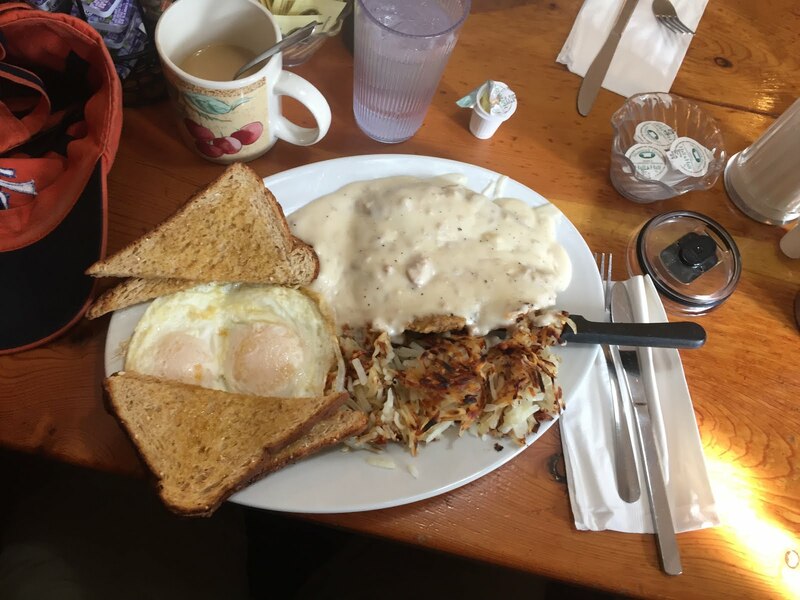 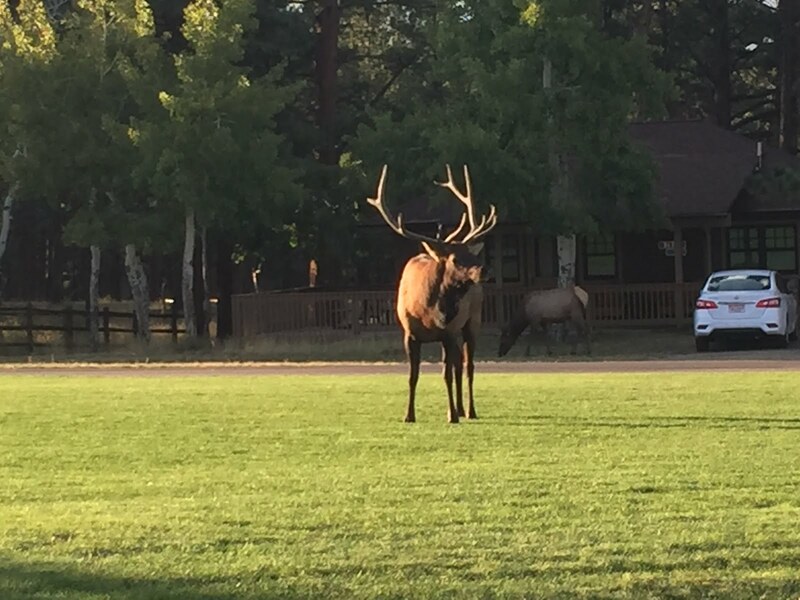 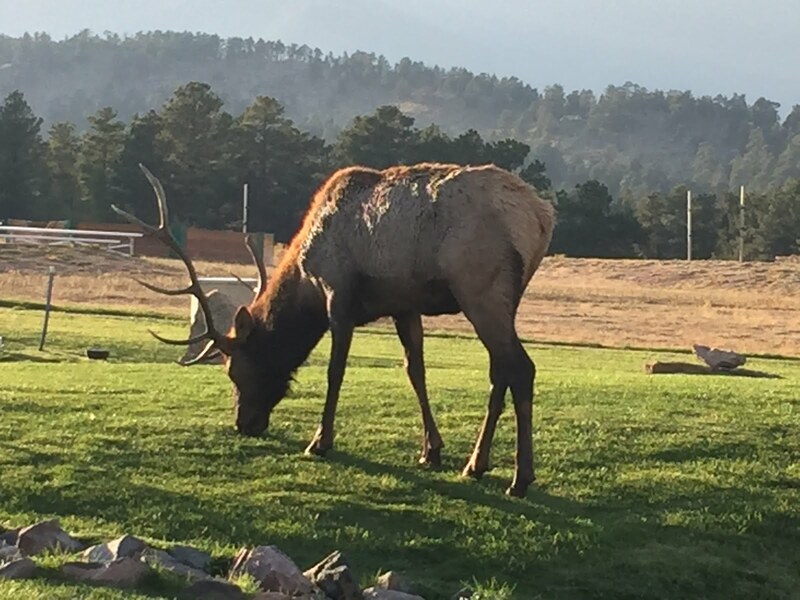 This one was a very early start as we headed back to the East Slope to meet with Graham and Jason in Estes Park for Breakfast and then some fishing in Rocky Mountain National Park. We were lucky to find some parking for all 3 cars at the Fern Lake Trail Head to fish the Big Thompson in the upper part of Morraine Park. 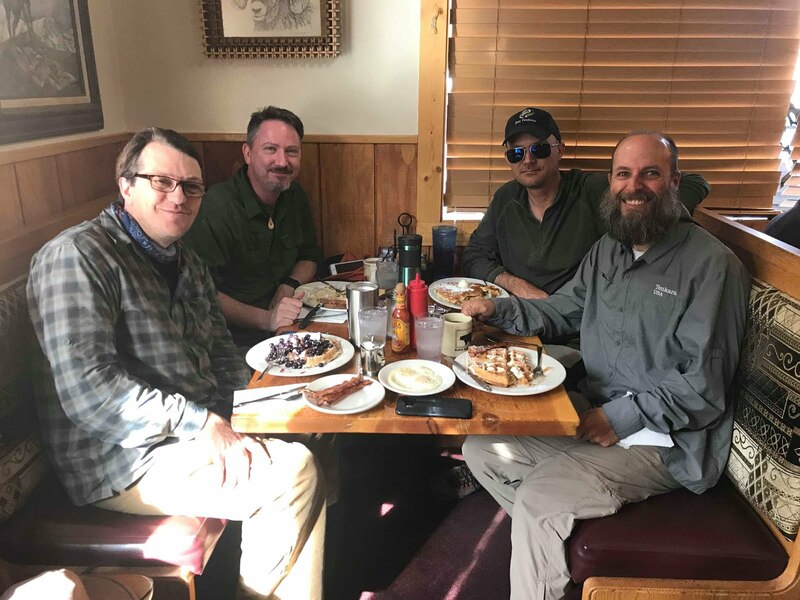 Breakfast at Big Horn in Estes - Dennis, myself, Jason (it was very bright in the restaurant...) and Graham. 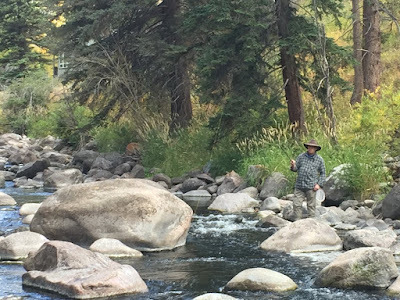 Unfortunately, Jason and Dennis had to head back and couldn't join us for the rest of the trip. 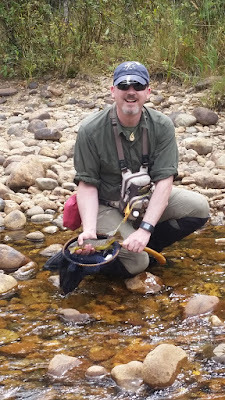 Graham and I decided due to high winds to fish the more secluded Wild Basin in the Park. Unfortunately I brought the wrong soles for my Korkers wading boots (rubber instead of felt with cleats) and I had a very hard time not losing my balance and slip & fall. 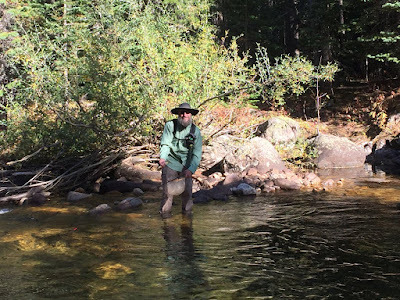 Note to myself - always bring the other pair of soles in your backpack! 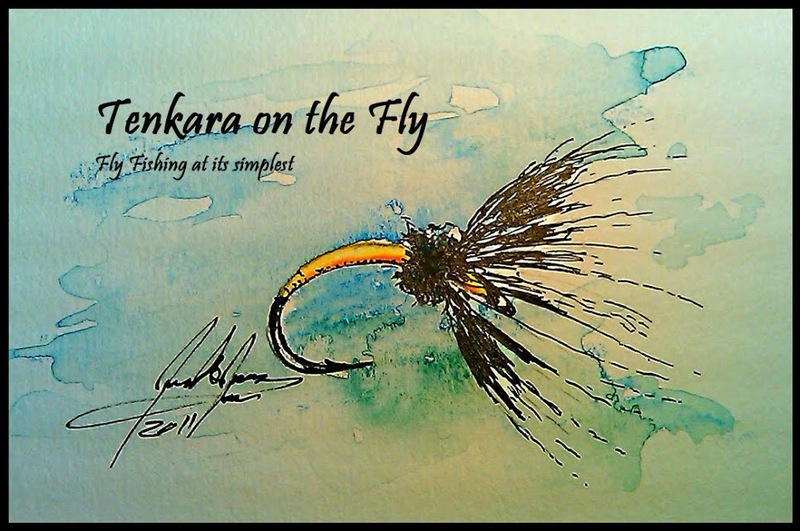 It was very eye opening how much impact not having confidence in your footing can impact the way you fish. my first Greenback cutthroat of the trip! 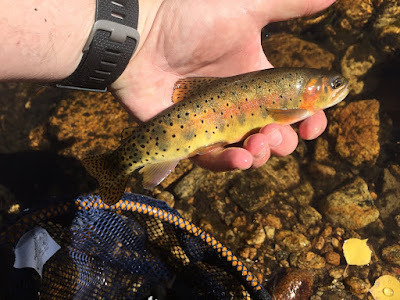 The forecast was for less wind that day so we decided to head up to the Roaring River to get into more "Greenback" cutthroat. While it was less windy, it was still quite a challenge but luckily, we had most of the day the wind from our back & upstream. 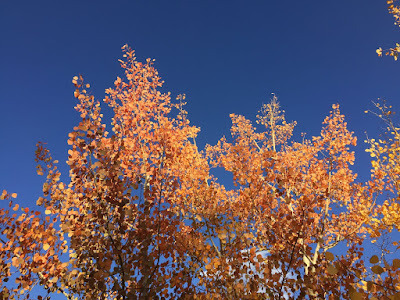 Saturday we had to get up super early as Graham was to host a guided trip in the Park and I had to ensure I would get a parking spot as this day was a "free National Park day" and we expected a lot of day visitors as it was in middle of Elk rut and at the hight of fall foliage season. Since I had such a good time yesterday, cutthroats are hard to come by in the UK and I wanted to get away from tourists (i.e. 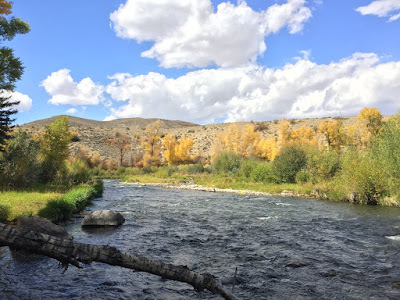 easily accessible), I decided to go back up to the Roaring River. 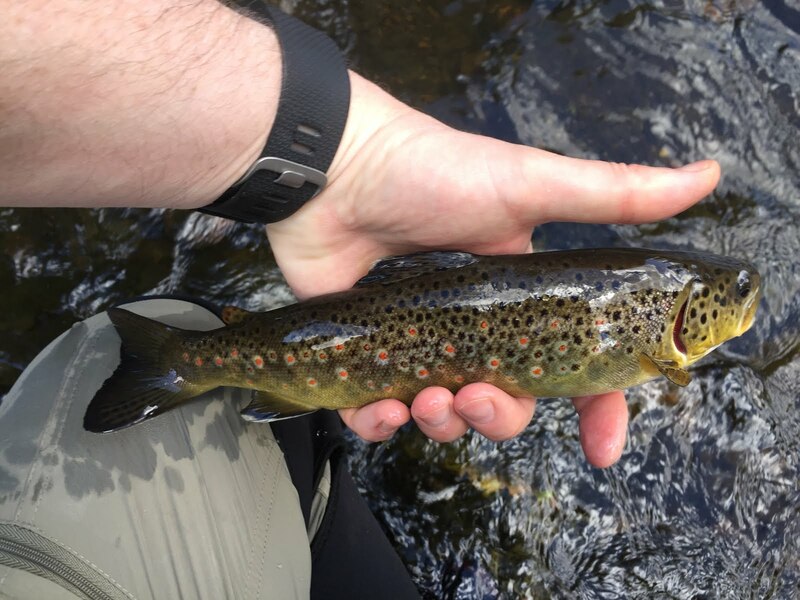 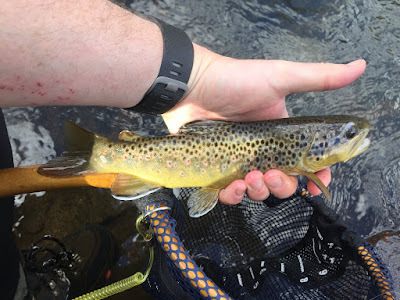 Just as yesterday, the bite didn't turn on until after noon when the sun warmed up the water a bit but then it was just as difficult as yesterday to keep the fish off the fly. 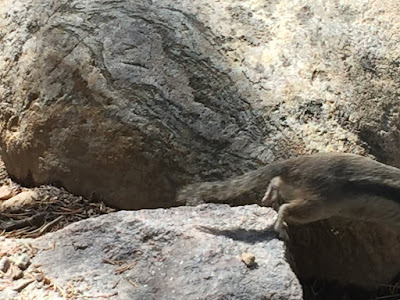 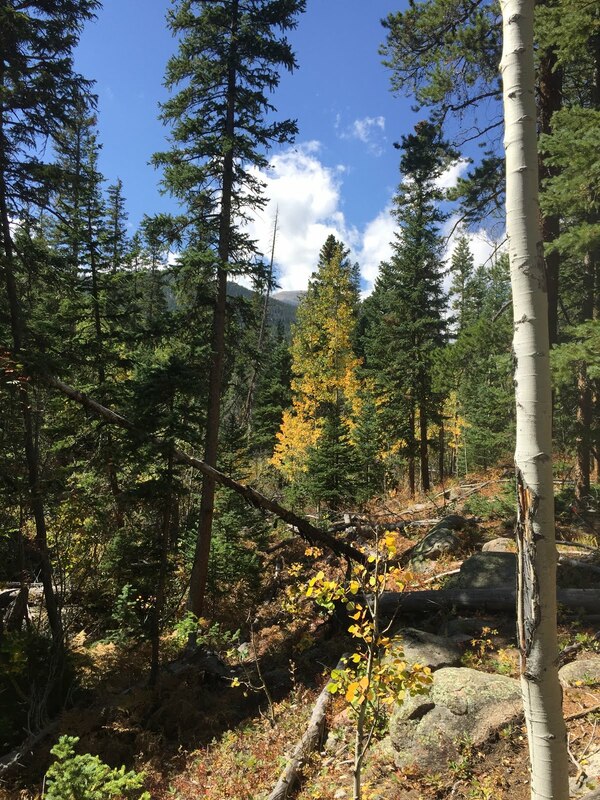 Unfortunately, this was my last day in RMNP. 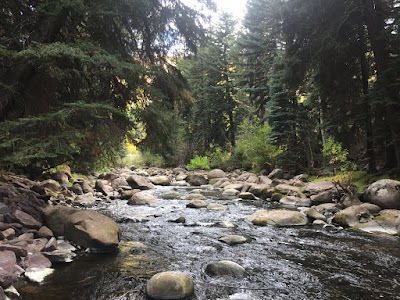 Sunday was a lazy day and I was at the point where I realized that 10 days might have been just a wee too long away from my family as I missed them terribly. 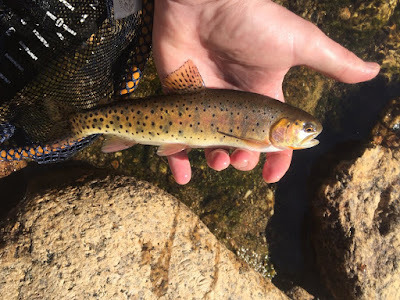 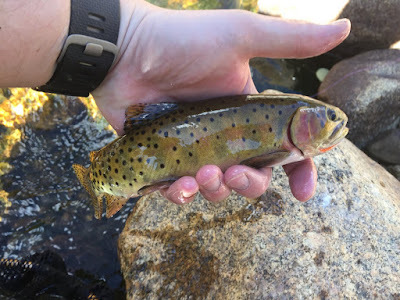 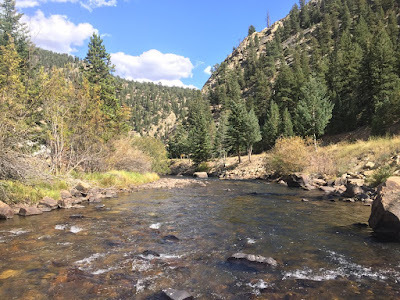 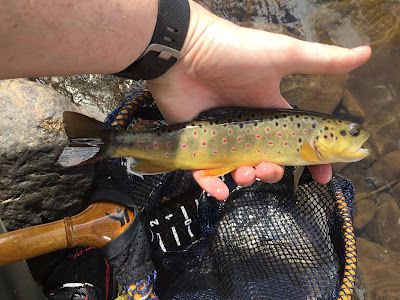 I decided to stay fairly close to Denver and revisit some of my old haunts but alas, Bear Creek was literally just a trickle so I decided to head up to a section of Clear Creek I haven't fished before and was recommended by Dennis. This was my last day in Colorado before heading home Tuesday. 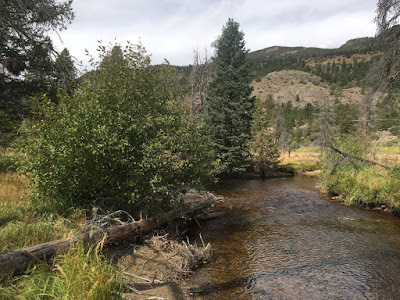 Just like yesterday, being a bit lazy, I decided to stay local and go back to Clear Creek. Graham joined this time. 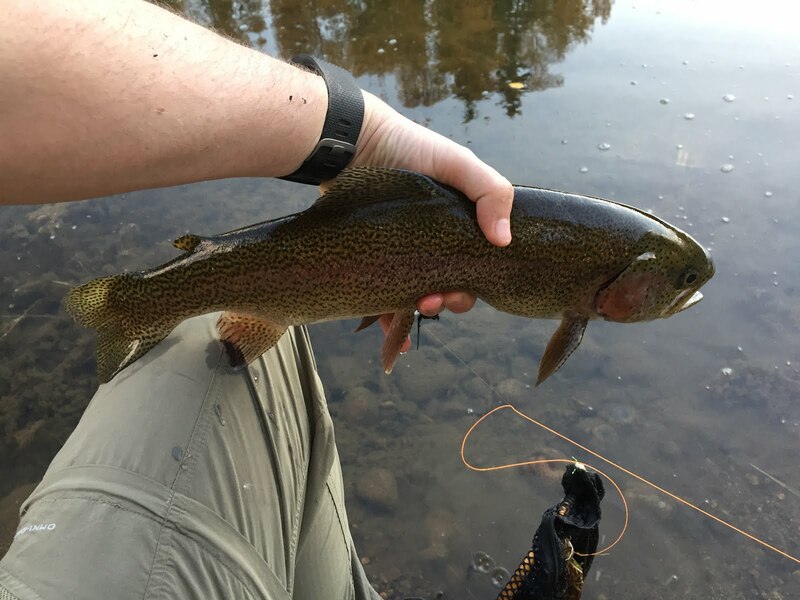 Unfortunately he broke his rod and luckily I had a spare in the car he could use. Later that day, I joined Graham's family for a game of the Colorado Rockies which they, in honor of my visit, won. 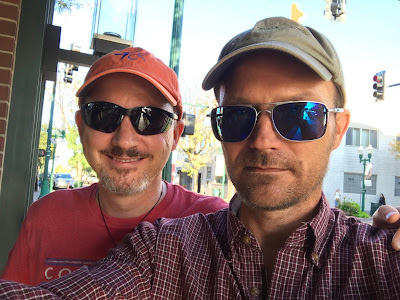 Alas as of the time of this writing, it is unclear whether they made it to the playoffs of the post season... We also did another interview, this time for Graham's blog, here.